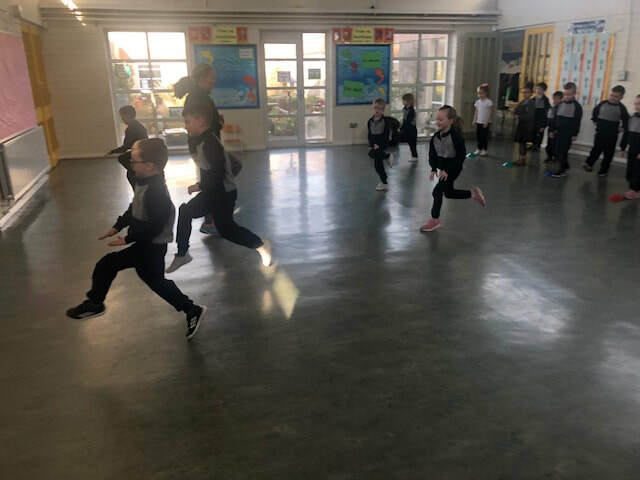 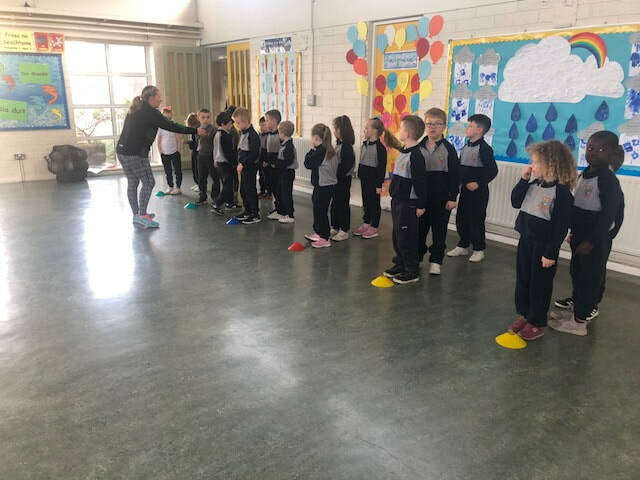 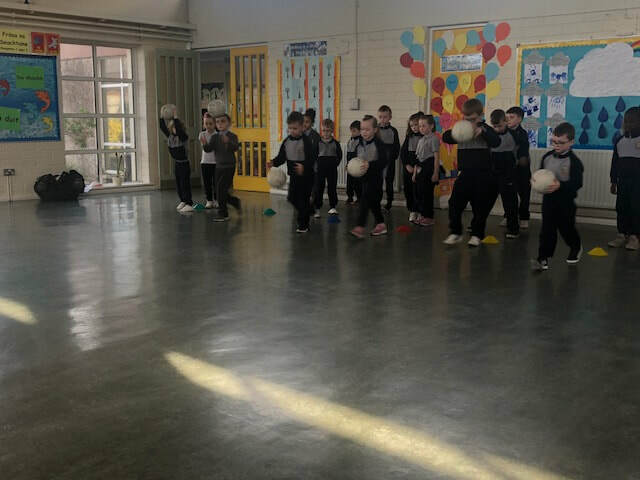 The children in senior infants are very lucky this week as they have started GAA training. 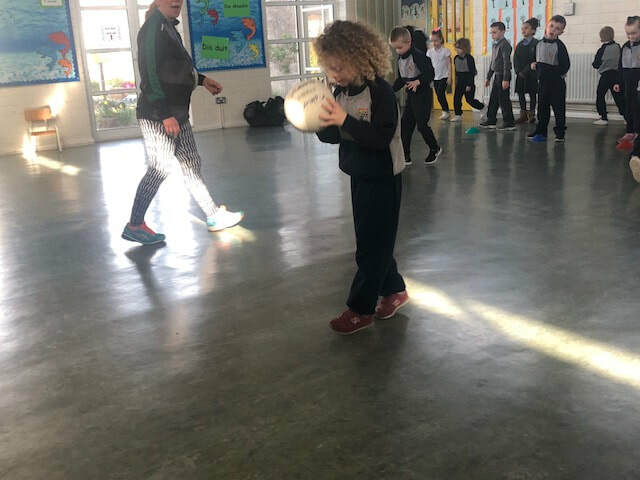 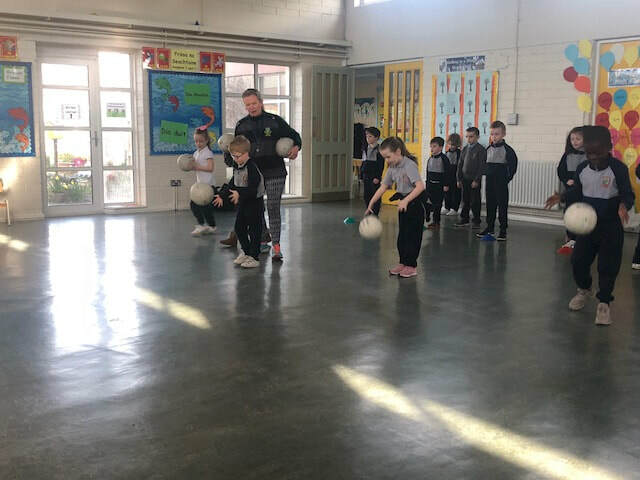 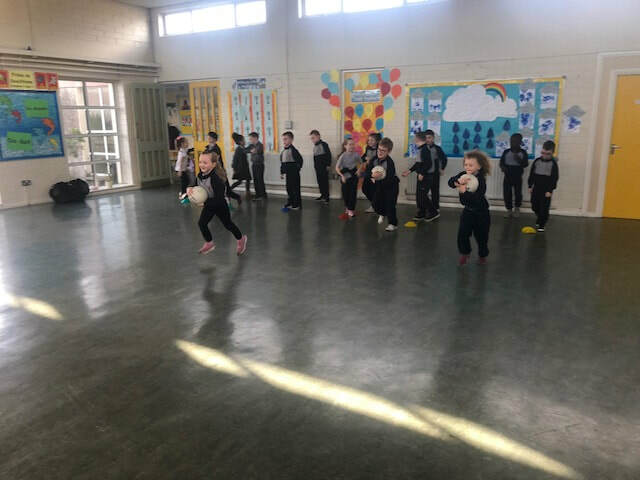 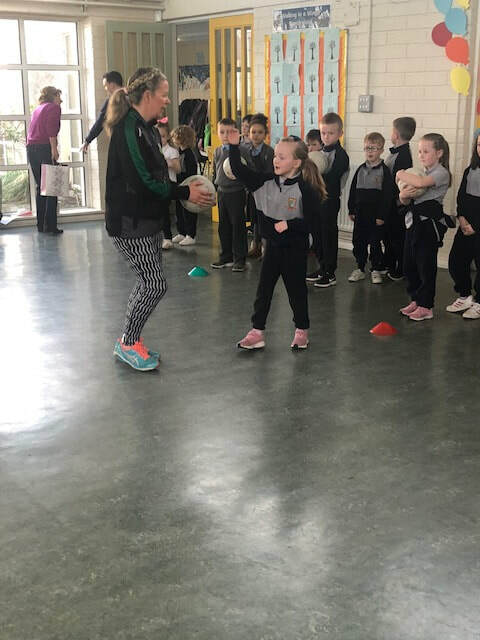 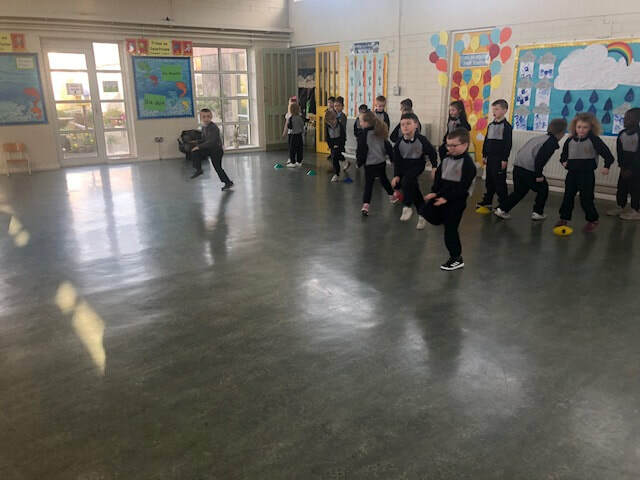 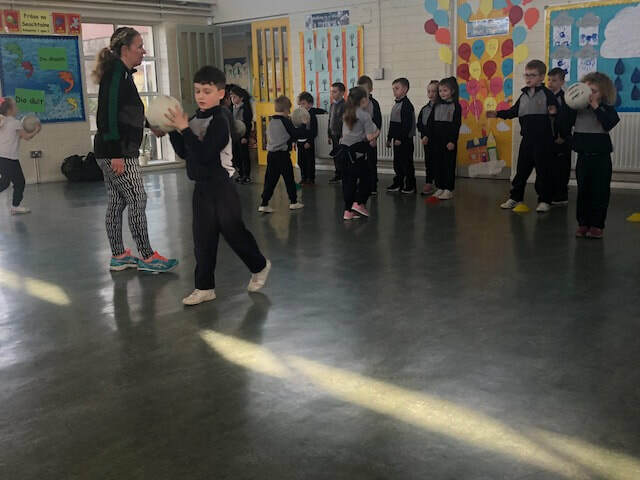 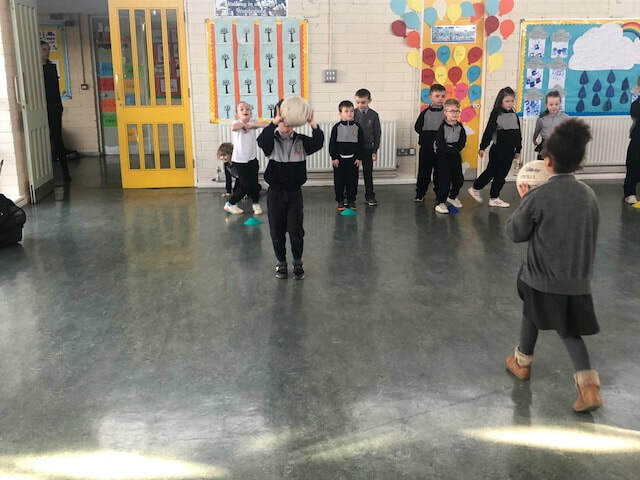 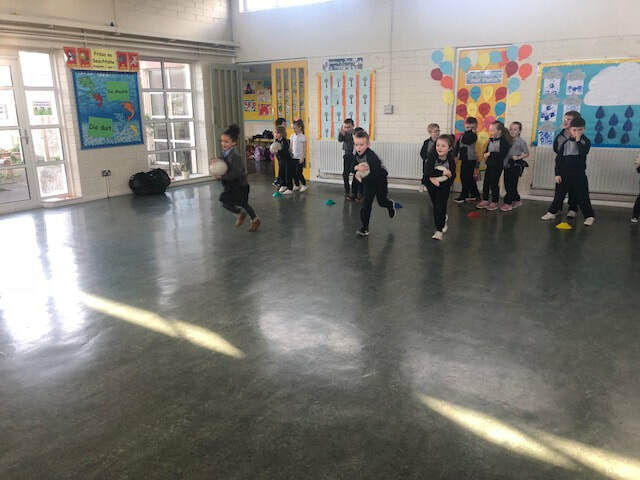 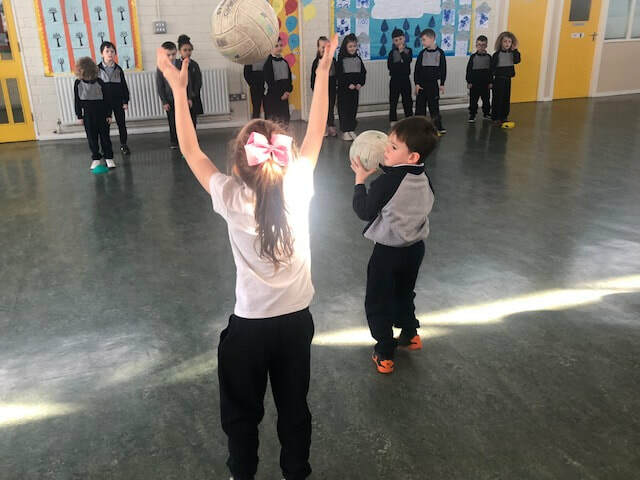 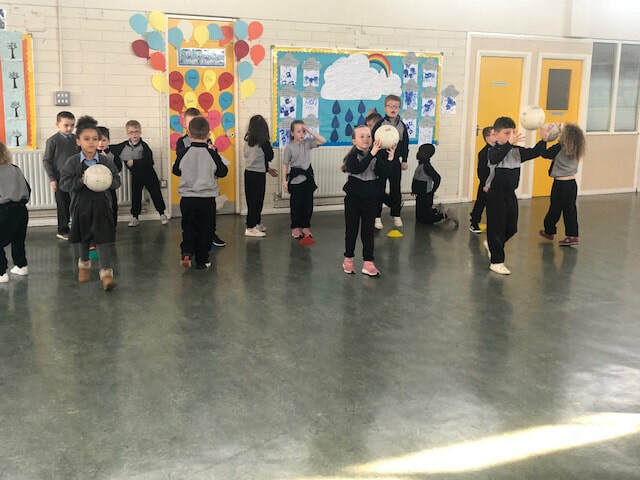 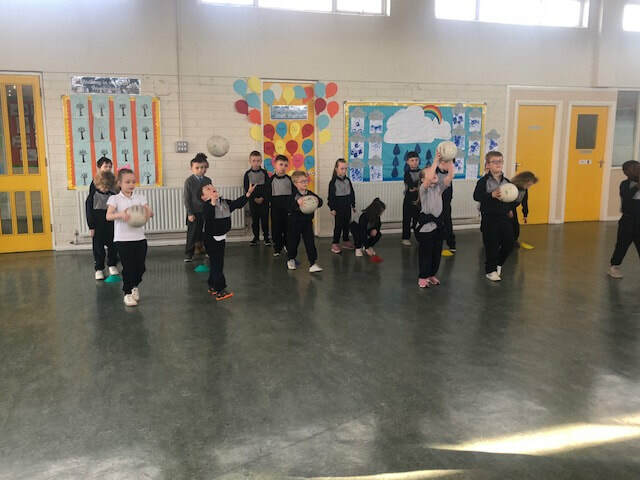 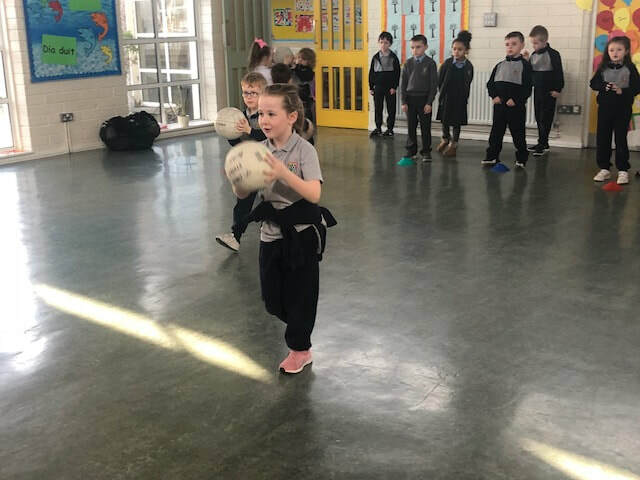 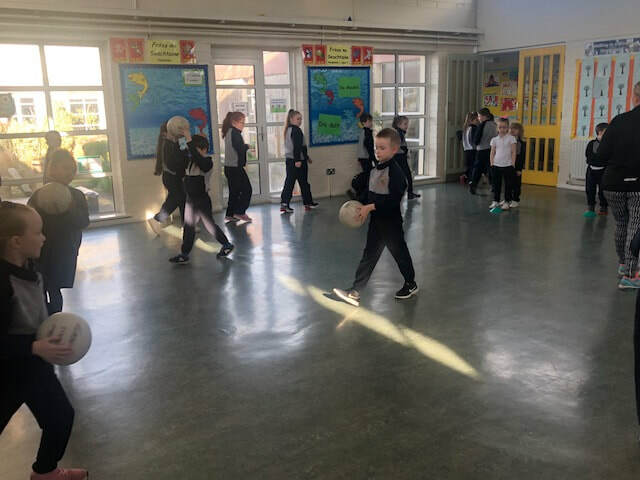 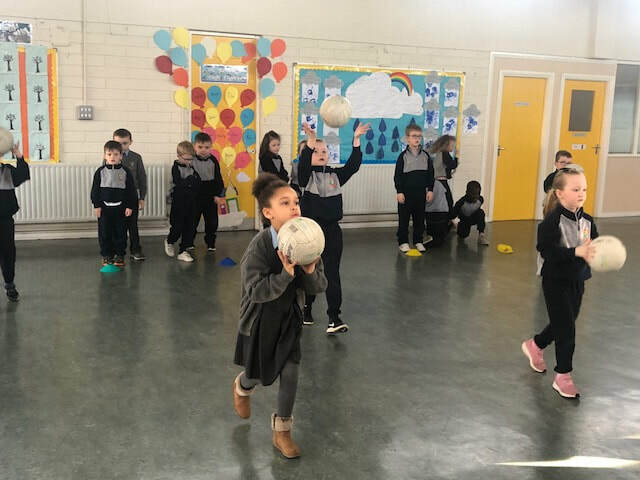 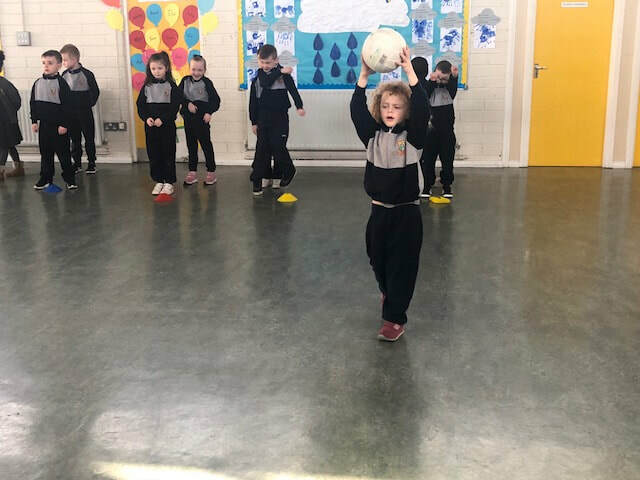 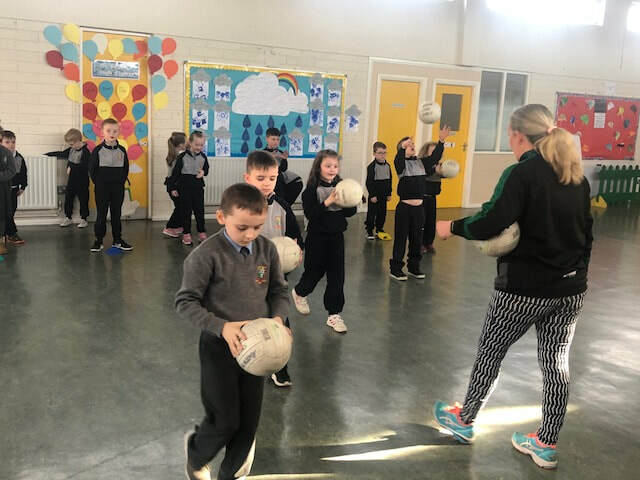 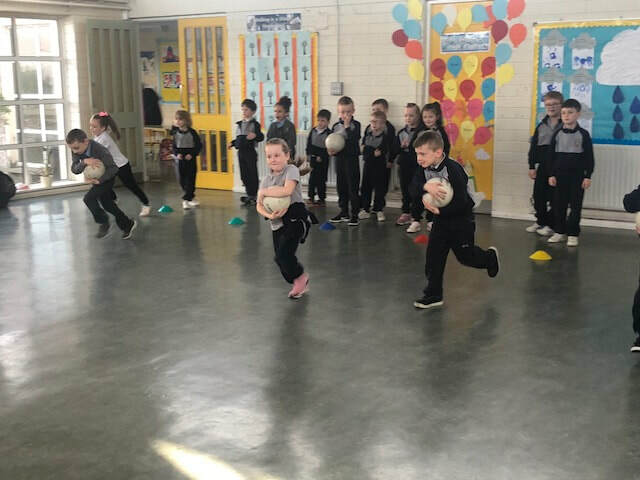 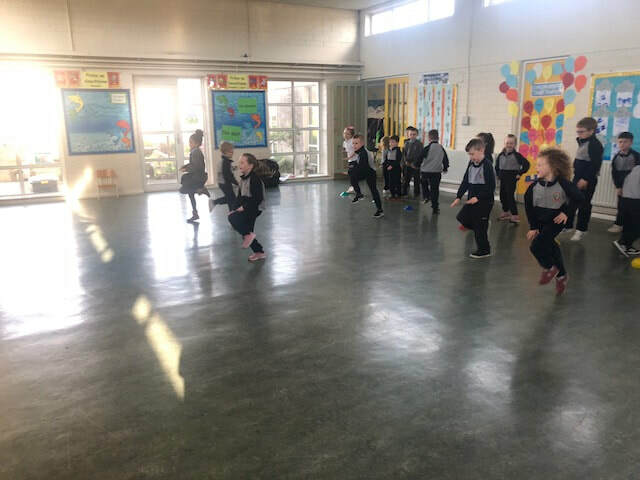 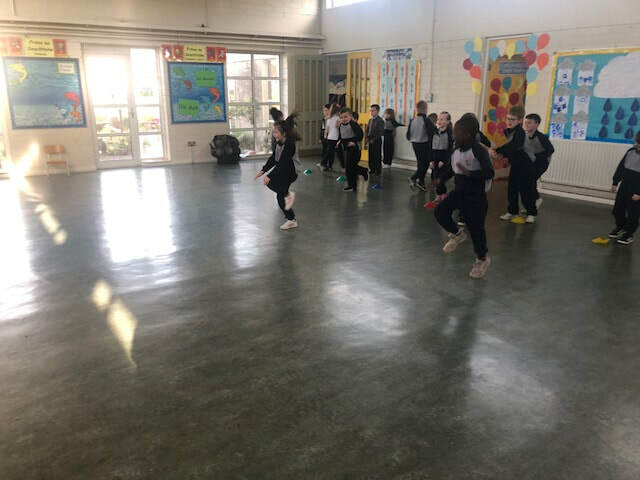 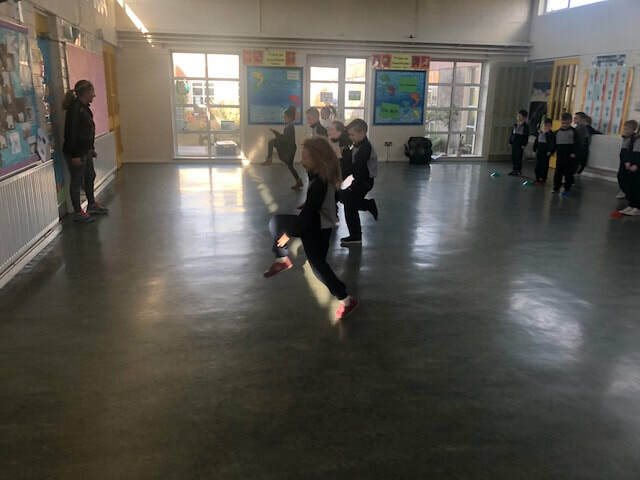 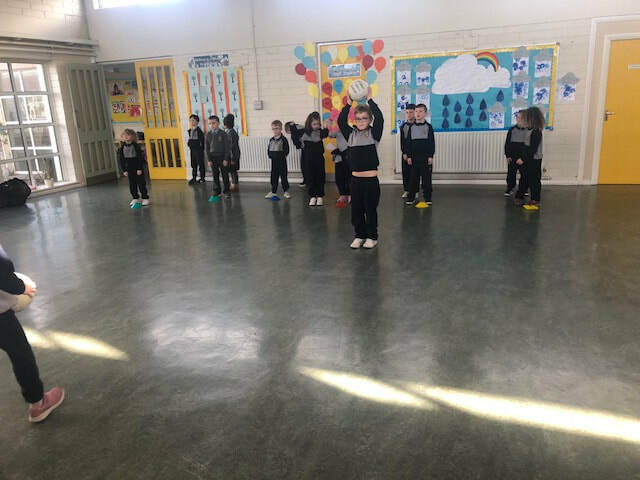 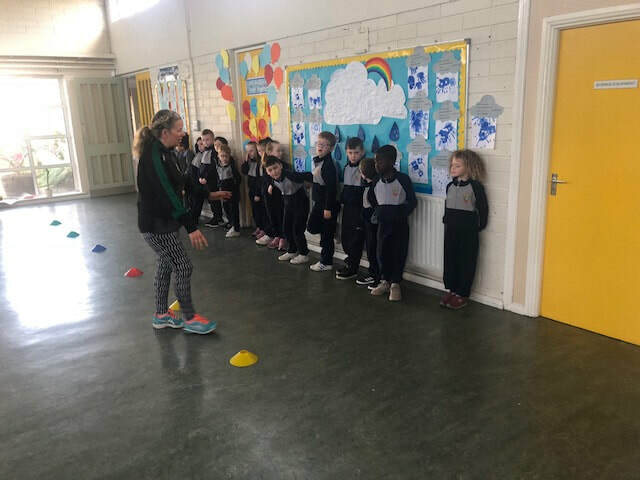 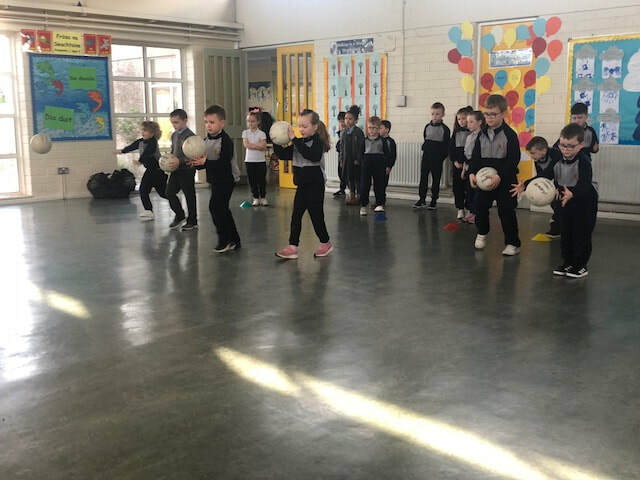 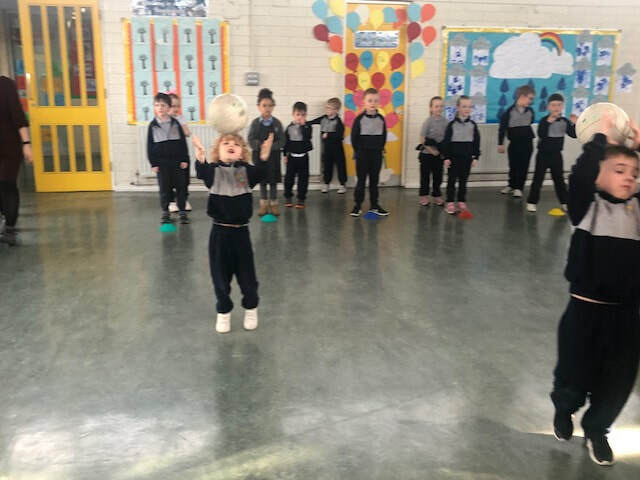 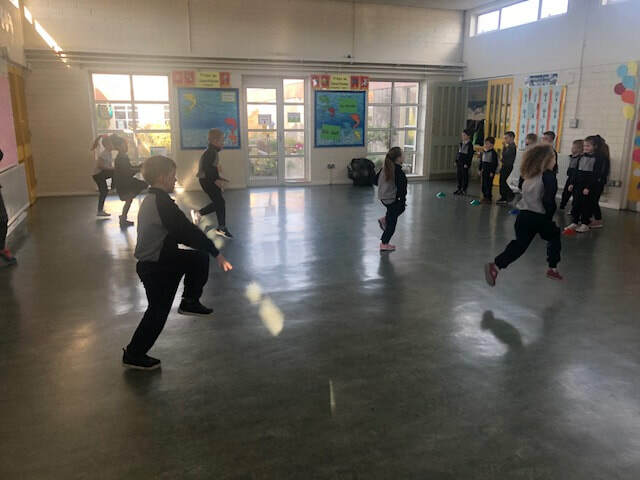 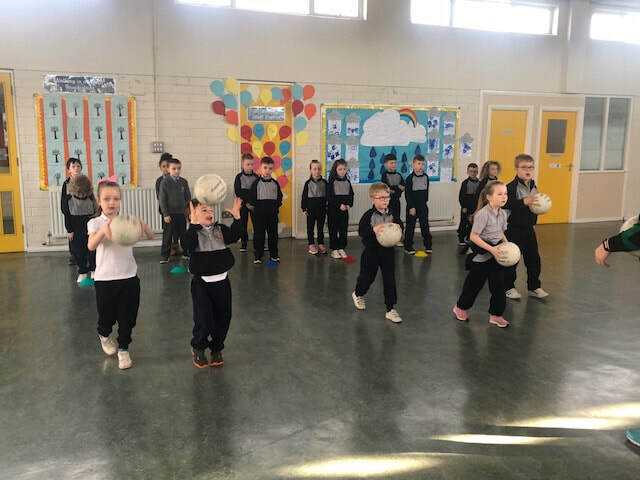 The children learned lots of new ball skills to help them when practicing their GAA. 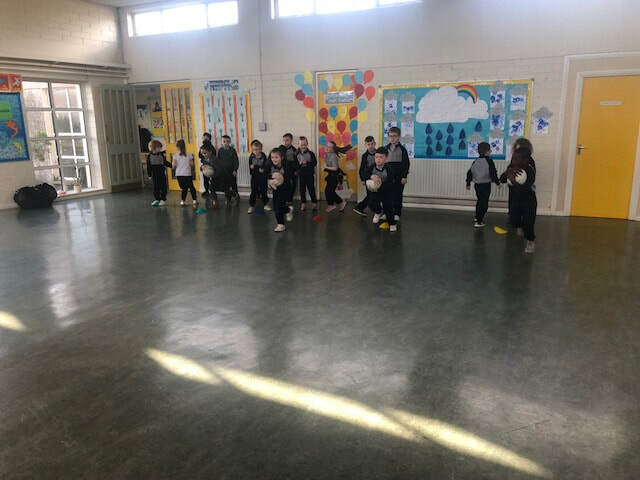 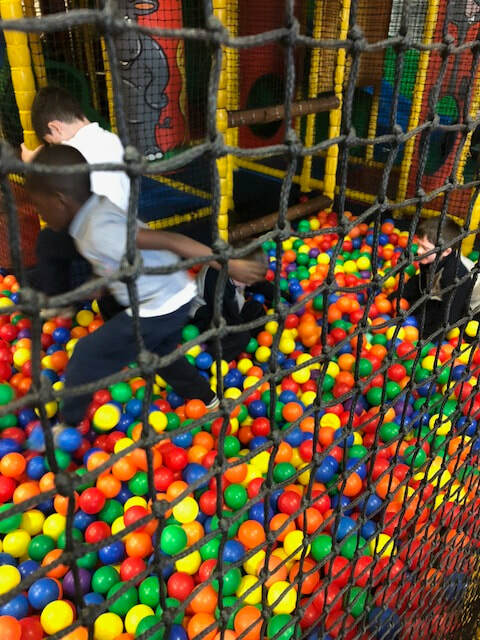 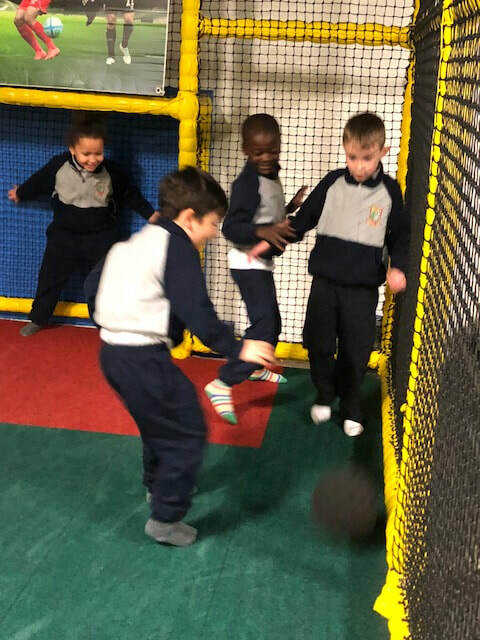 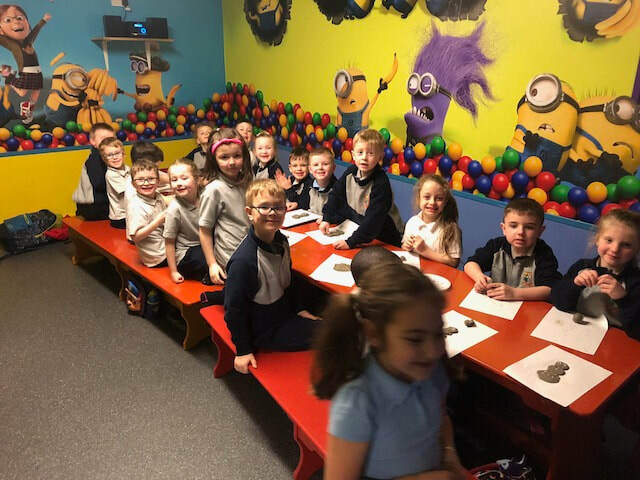 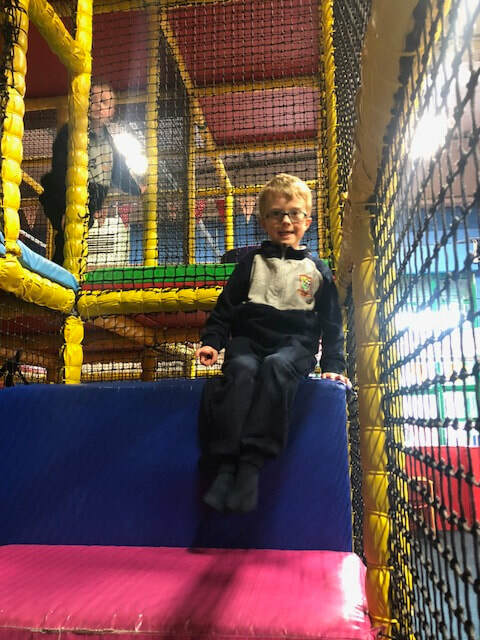 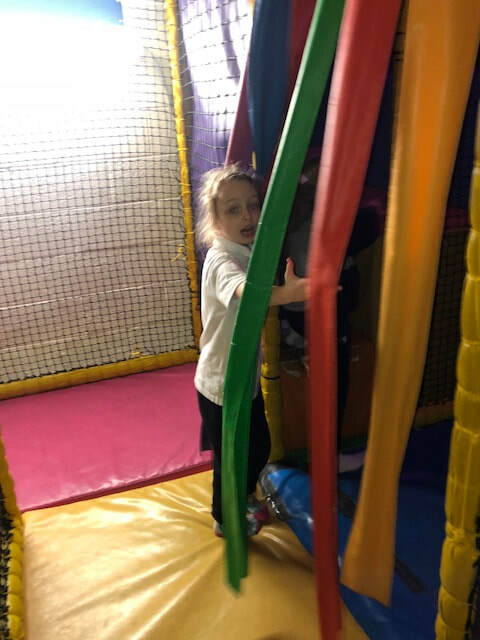 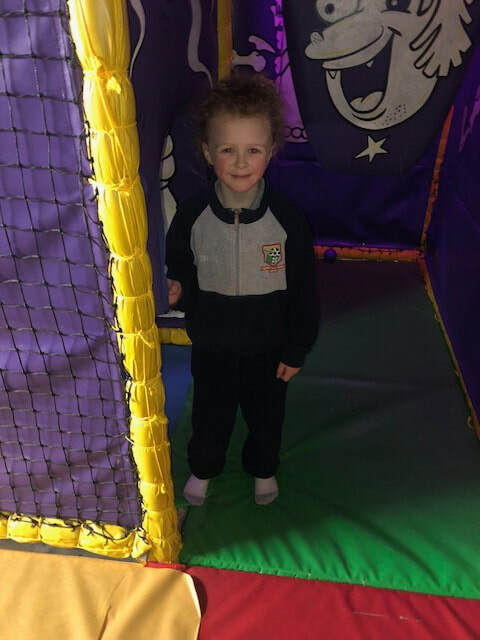 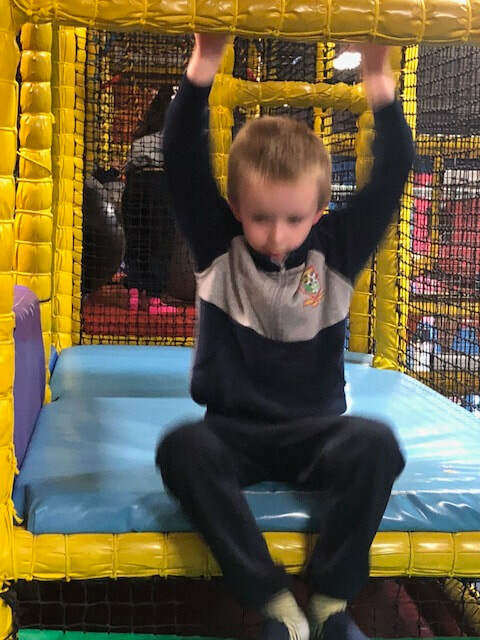 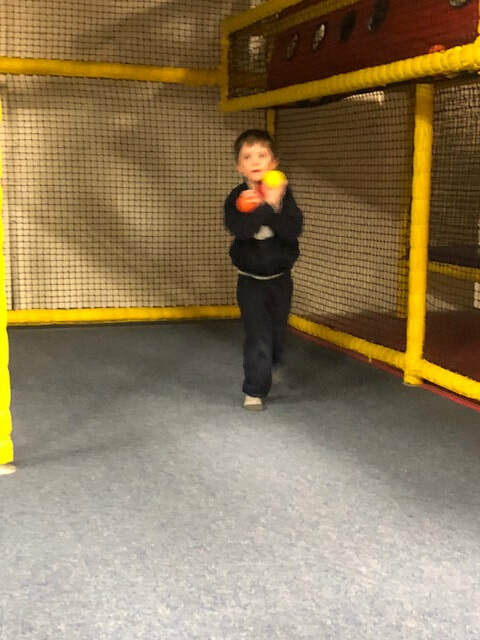 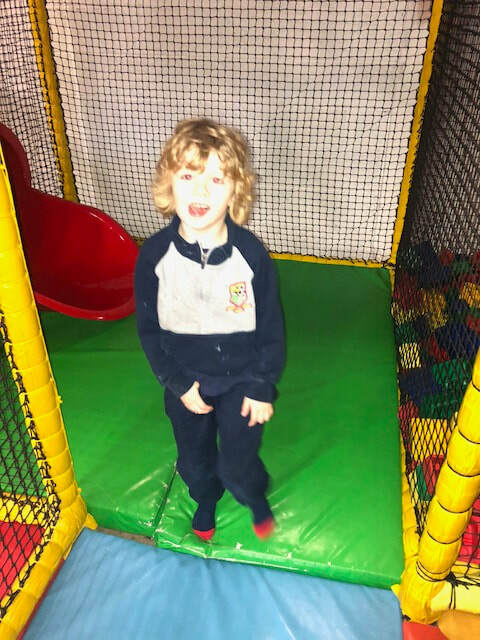 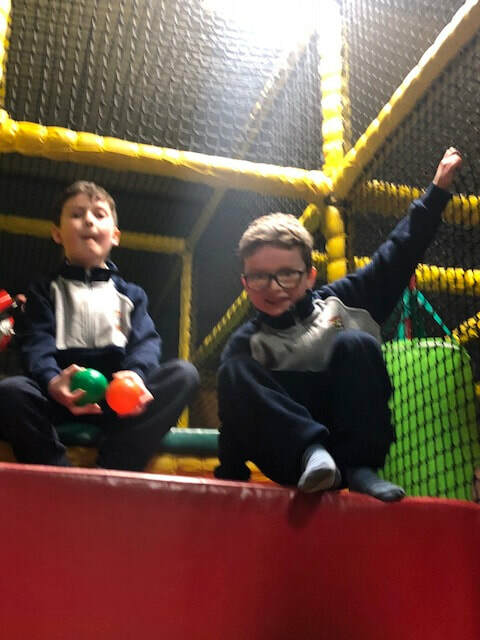 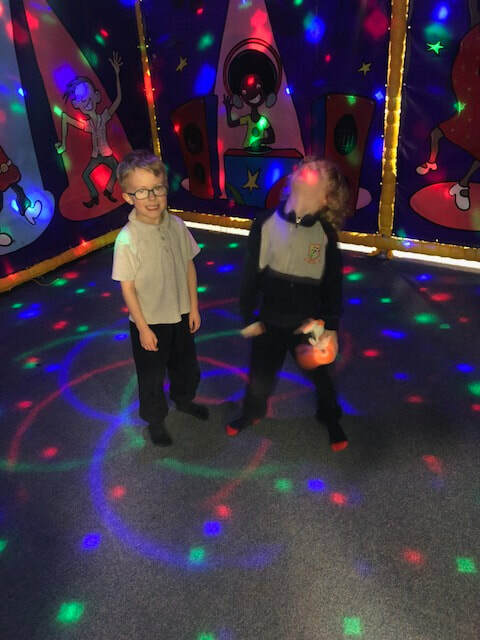 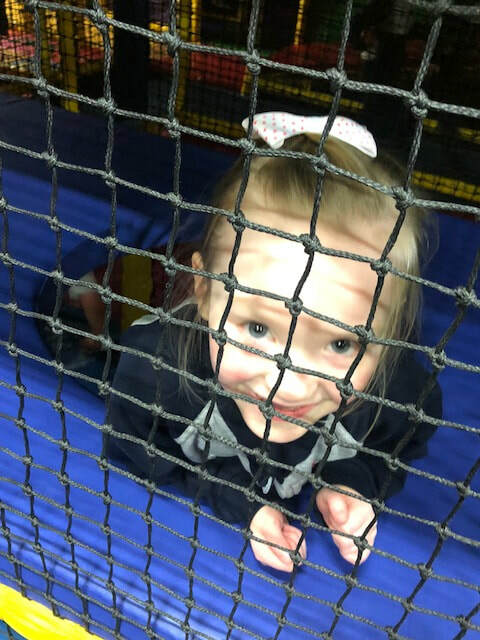 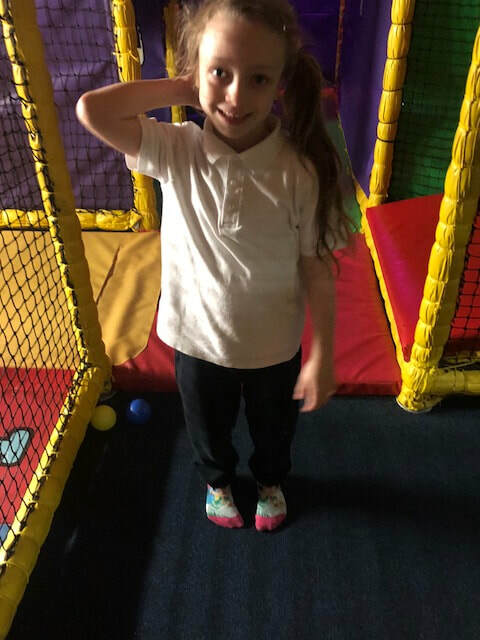 They learned how to hold onto the ball tightly so that no-one could get it off them, they learned how to take their four steps and bounce the ball, and they also learned how to throw the ball up in the air and catch it while walking. 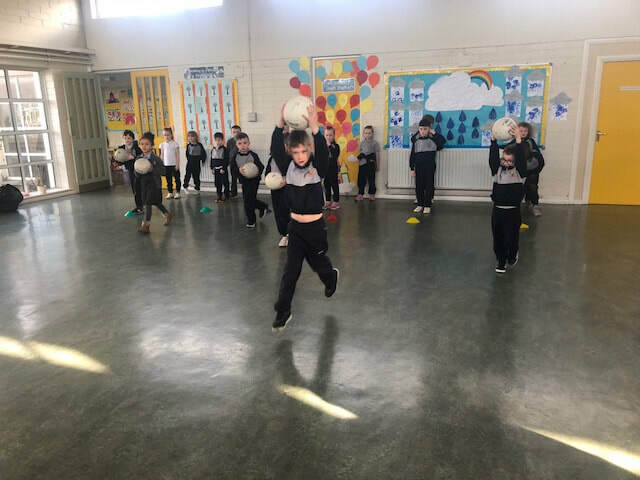 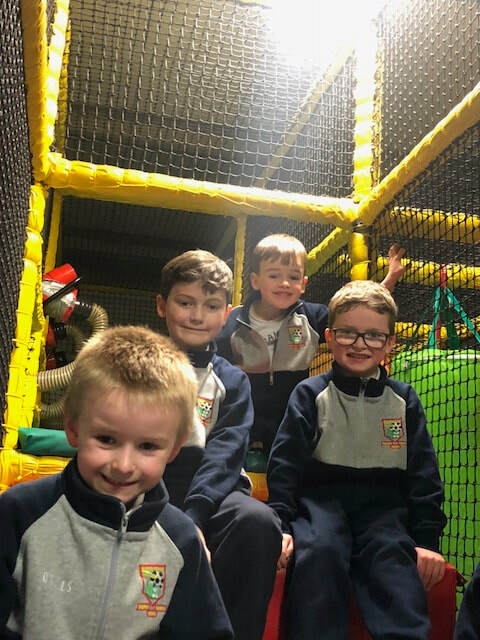 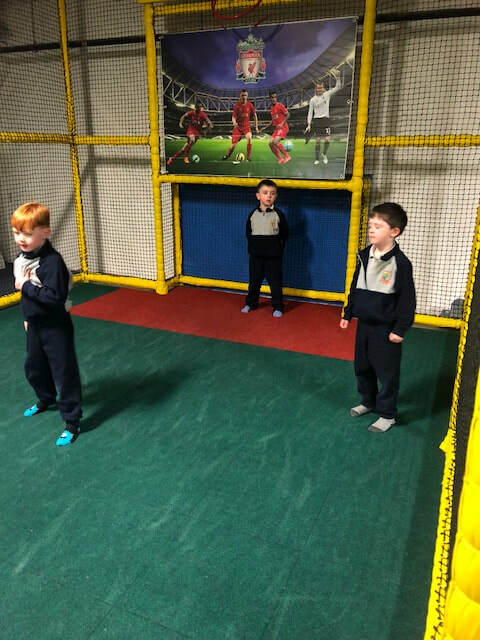 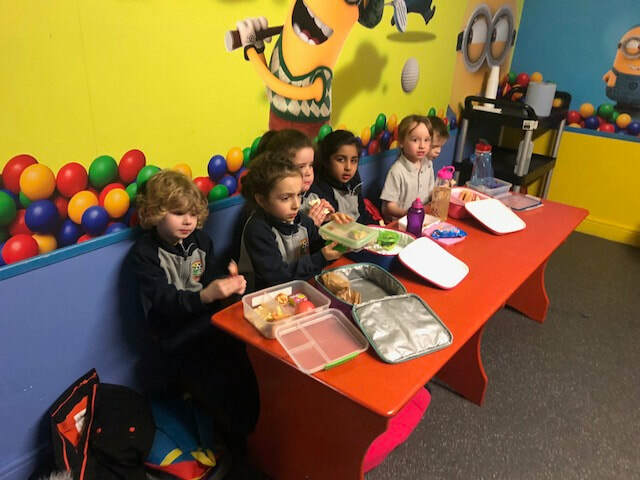 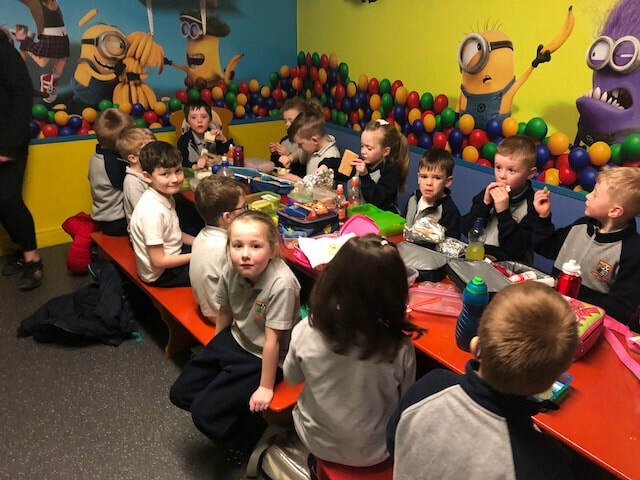 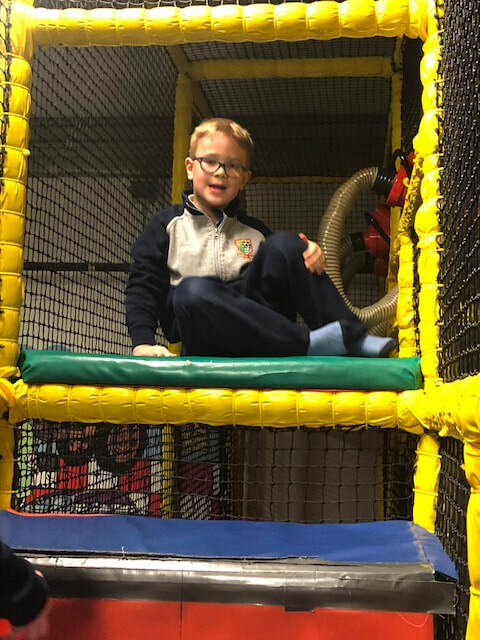 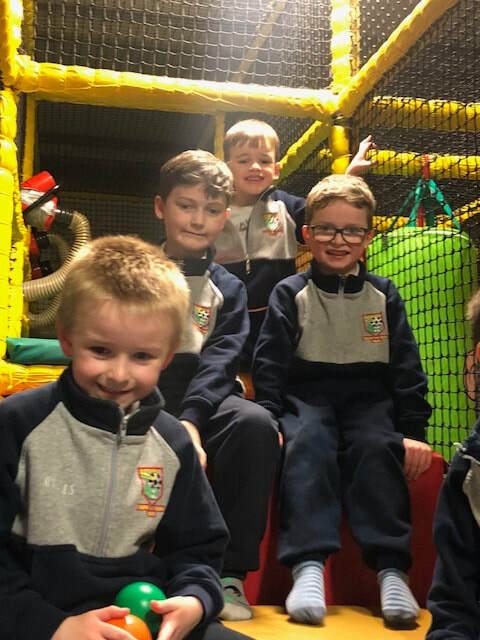 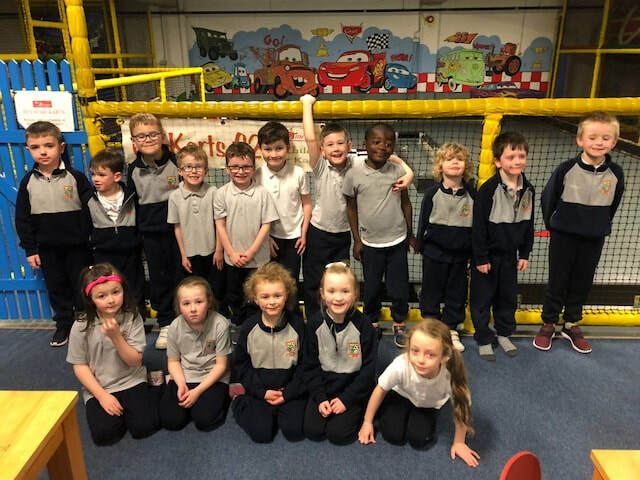 I am sure over the next 5 weeks the children will continue to improve their skills and they will all be fantastic GAA players by the end of it. 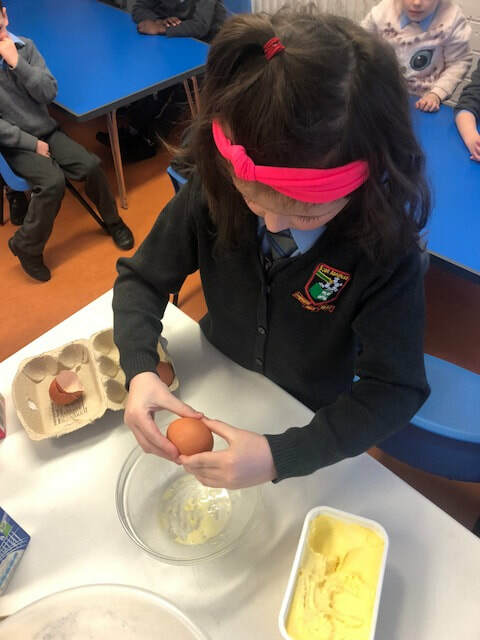 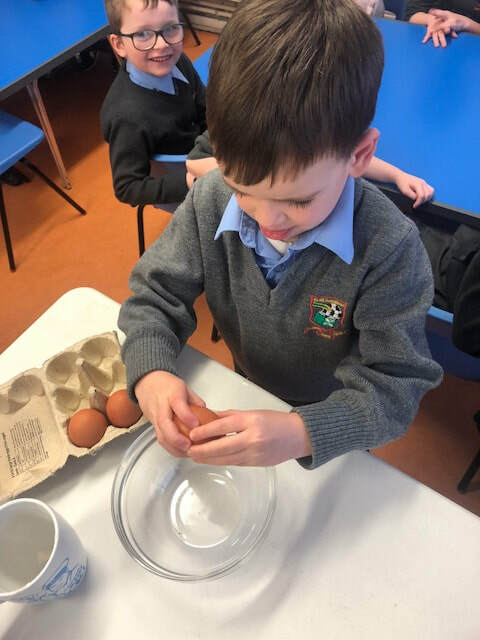 This week we read the story of the little red hen and learned that she couldn't find anyone to help her bake her bread. 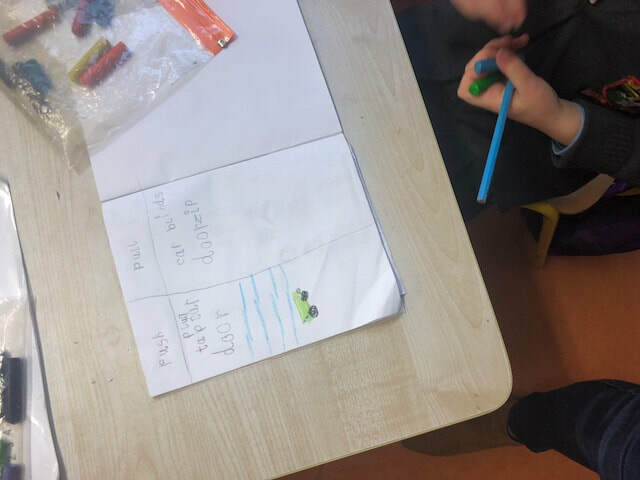 We decided that we would help her, and write a method for her to follow when baking her bread. 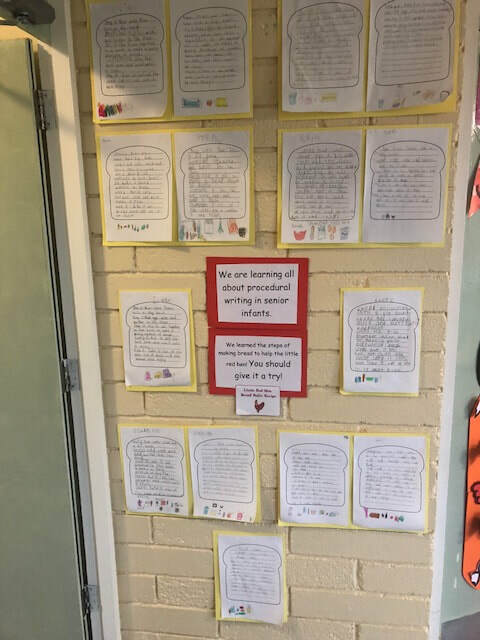 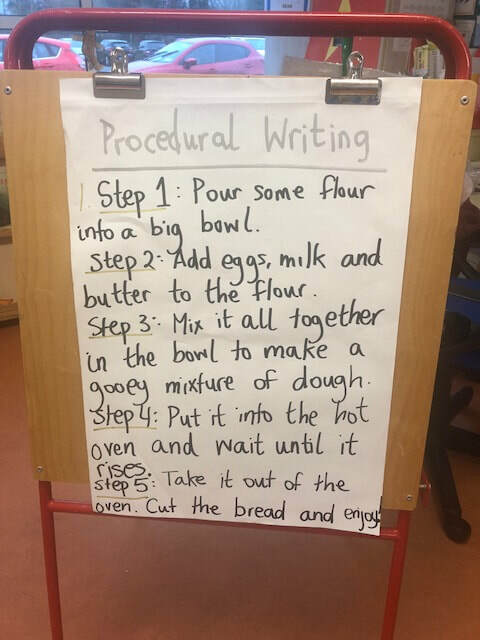 We wrote our method out in easy to follow steps so that everyone in our school would also know how to make bread. 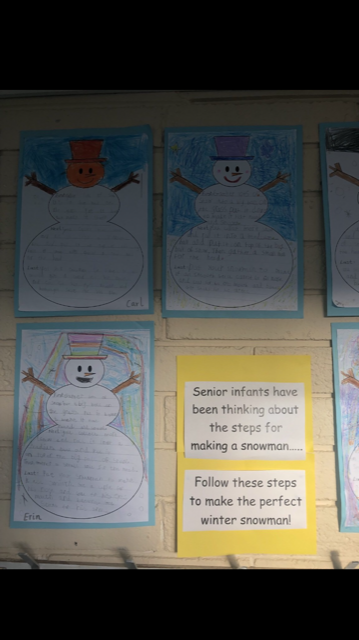 See if you can follow our steps! 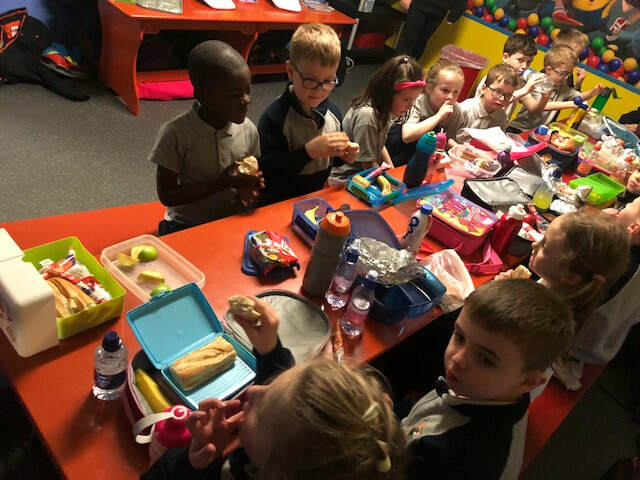 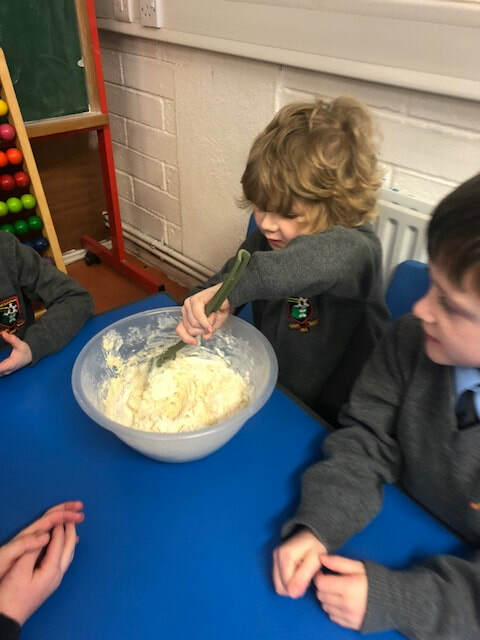 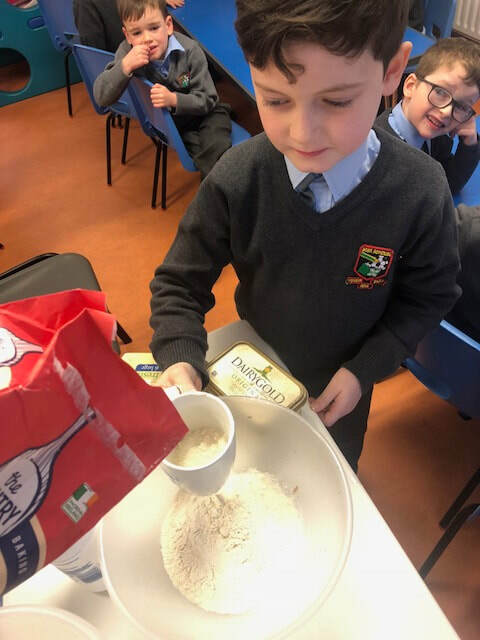 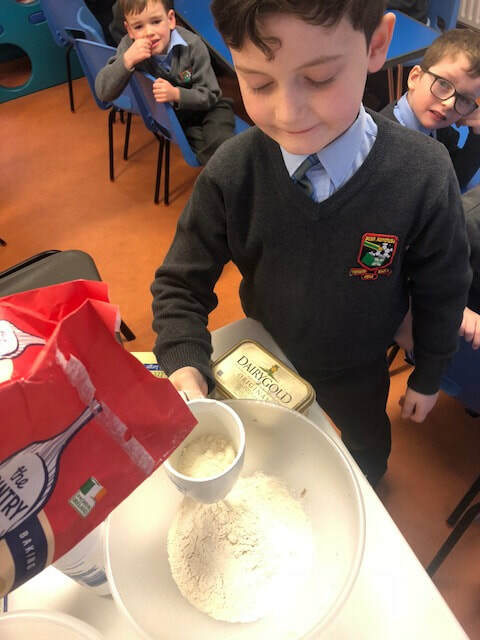 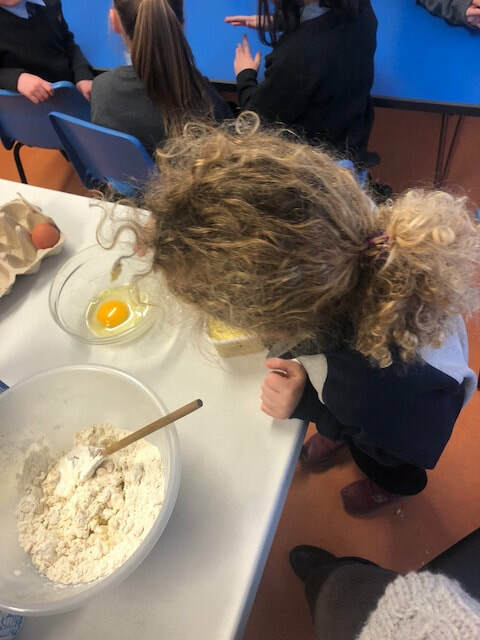 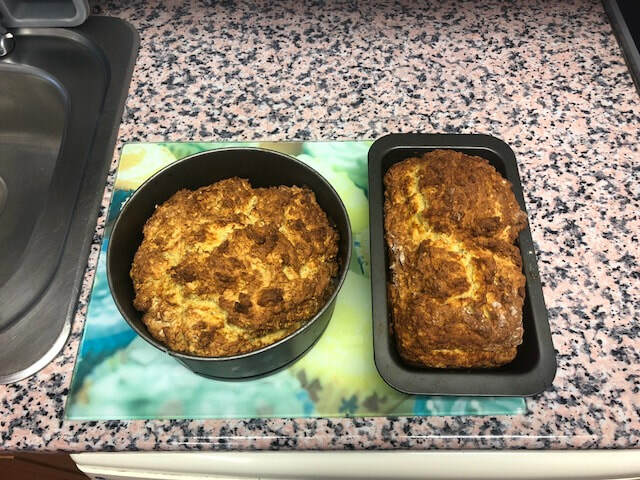 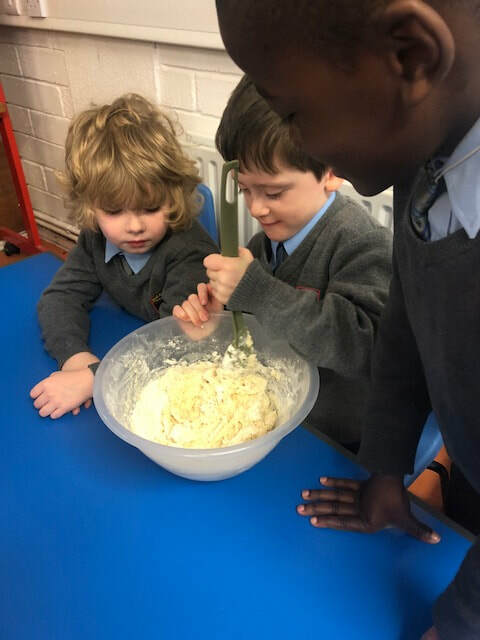 For science we decided to gather and combine all our ingredients, and use our own procedural writing method to bake our very own bread in school. 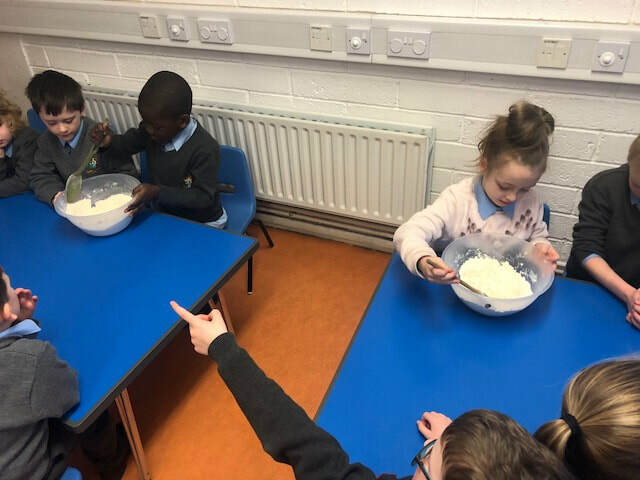 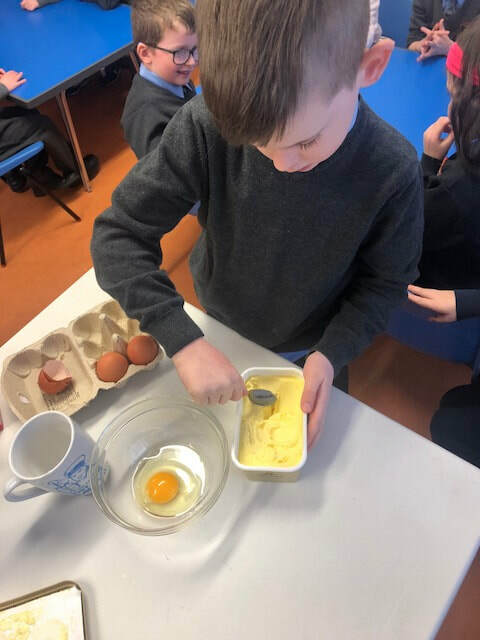 We went to the parents room and each had a turn putting in and mixing the ingredients. 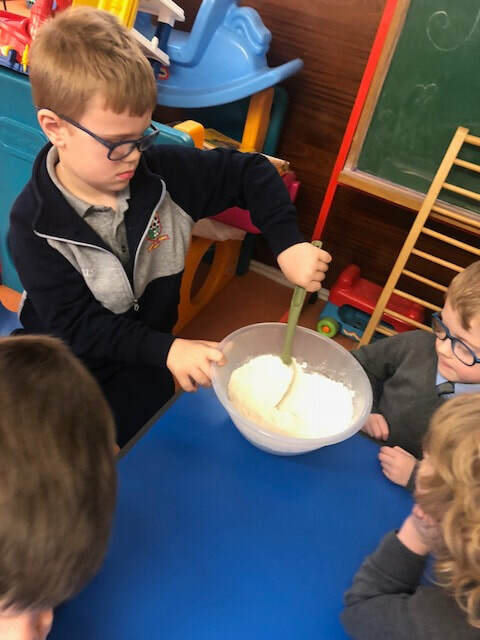 Our teacher helped us put it into the oven, and after a short wait we could smell the bread baking and rising. 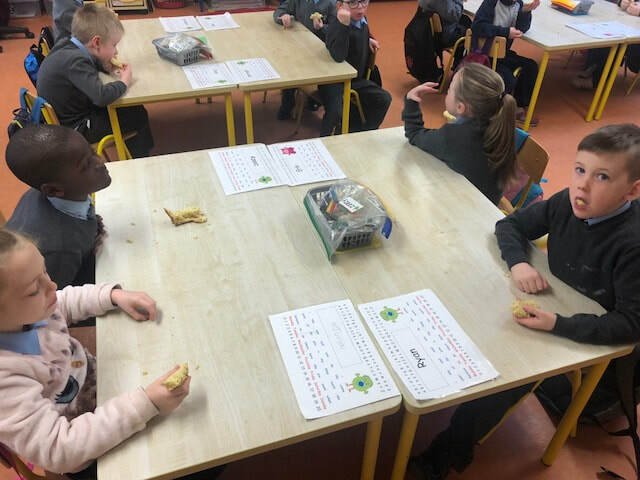 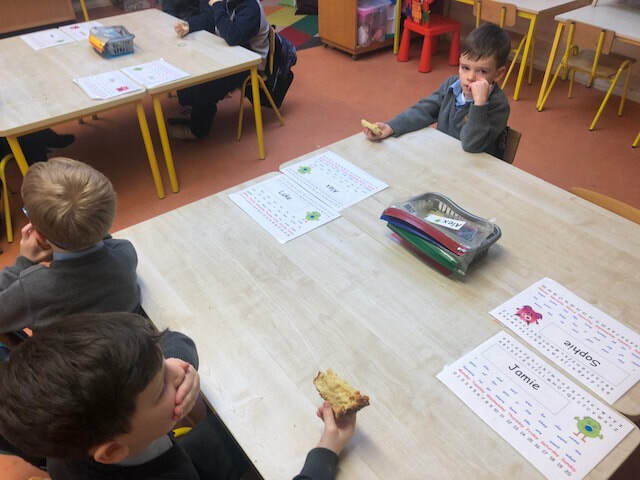 Once it had cooled we all got to taste some of our bread and it was SCRUMPTIOUS! 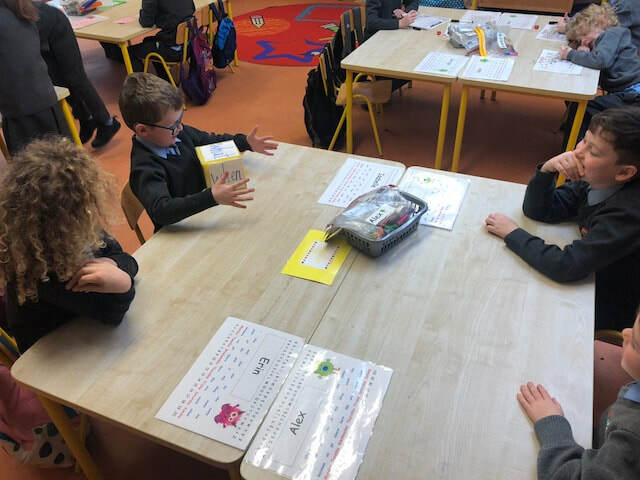 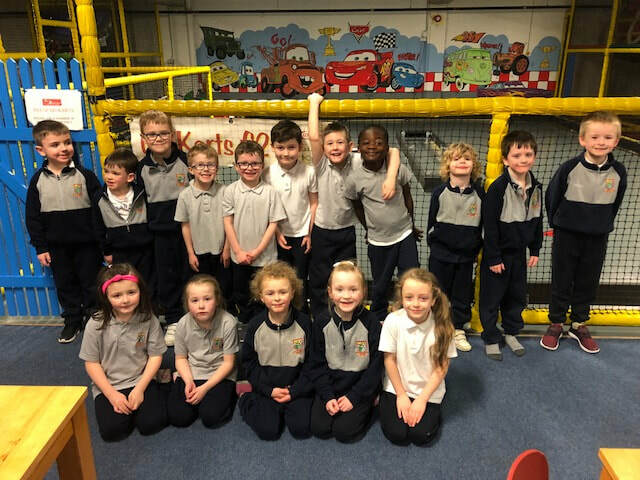 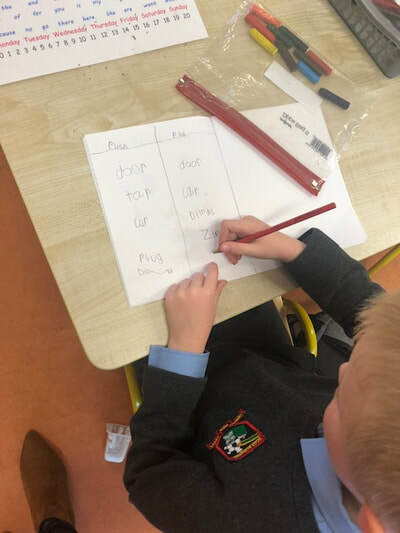 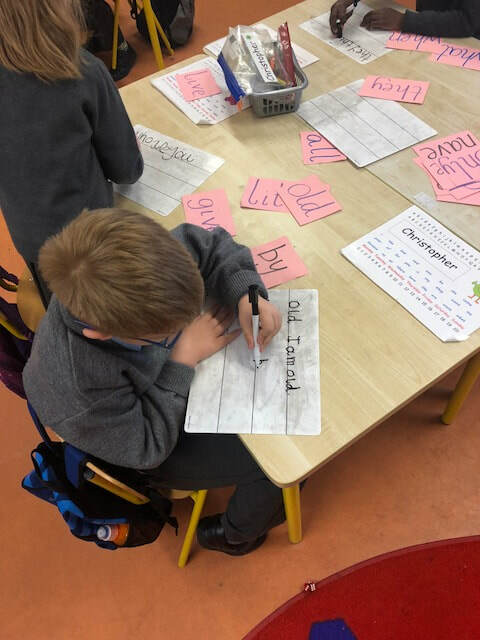 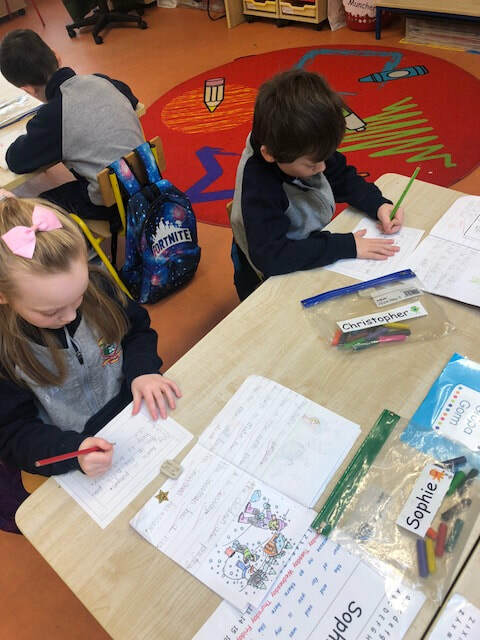 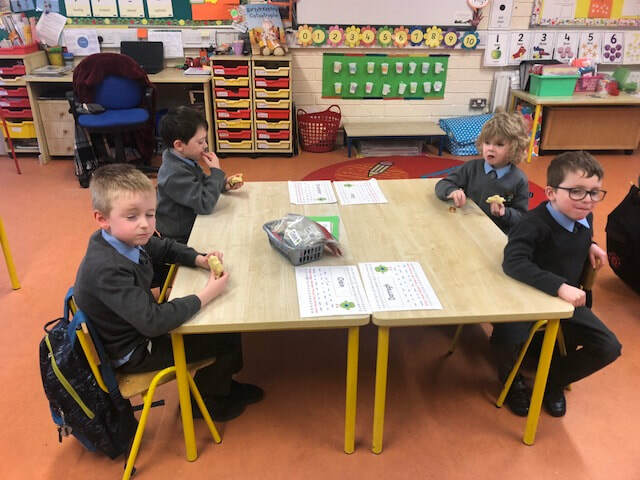 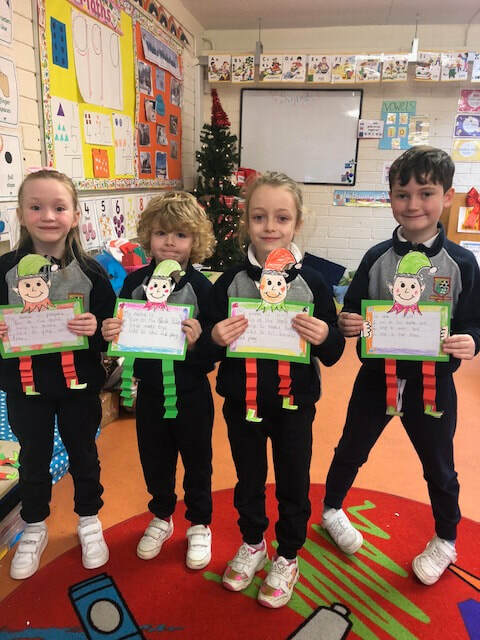 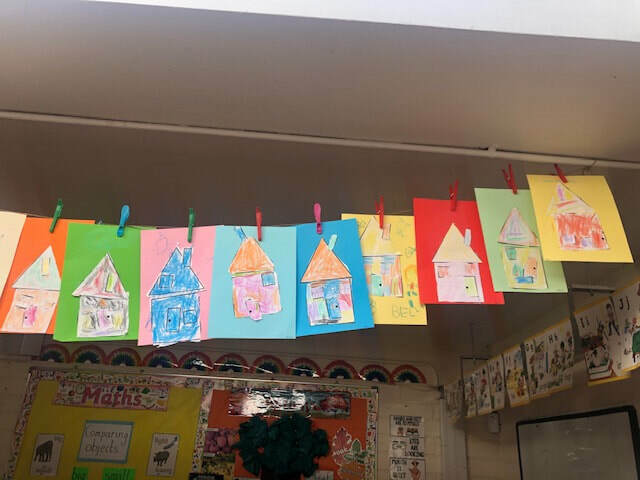 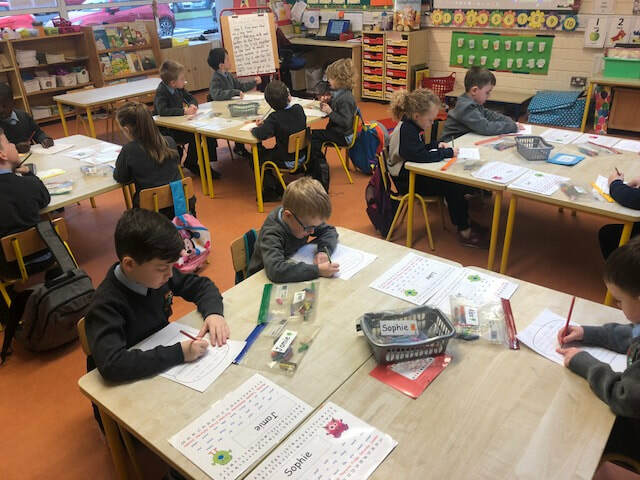 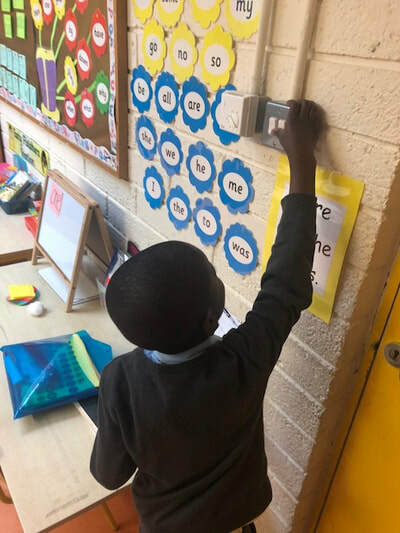 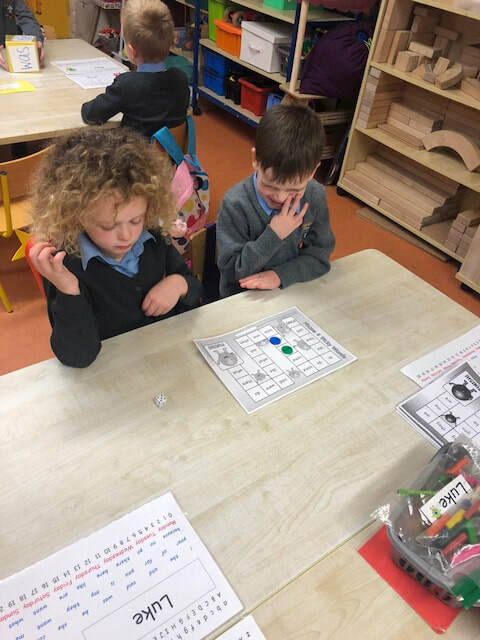 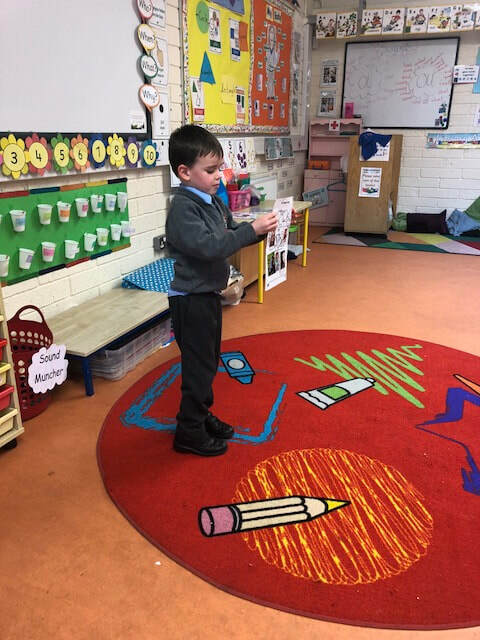 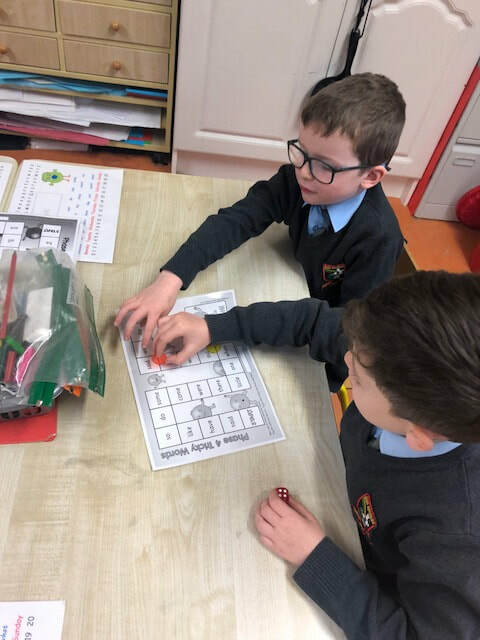 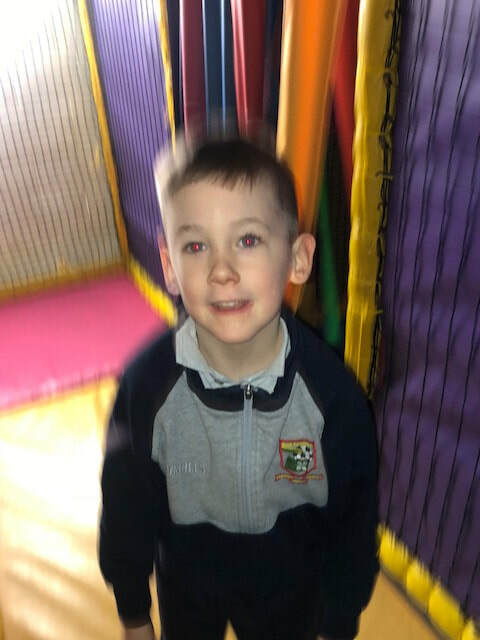 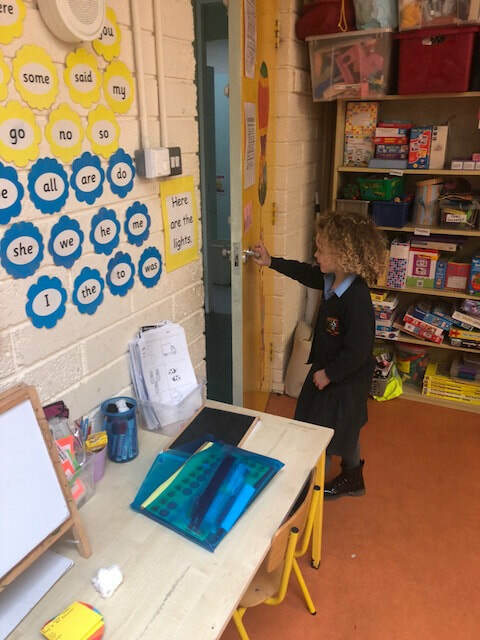 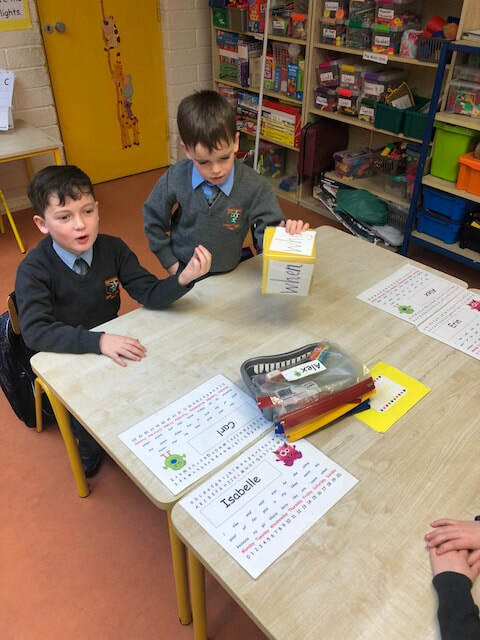 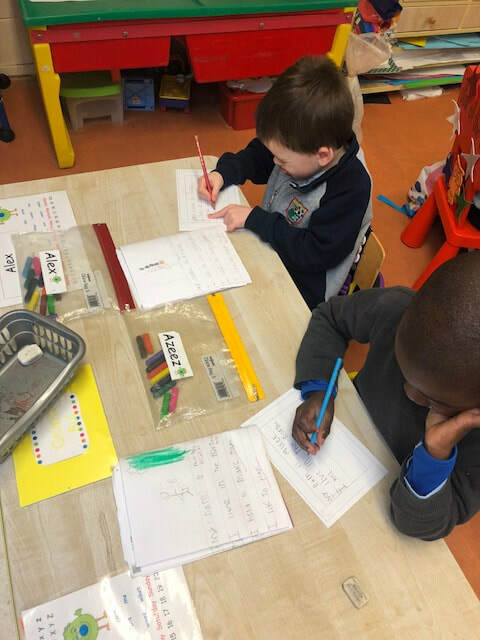 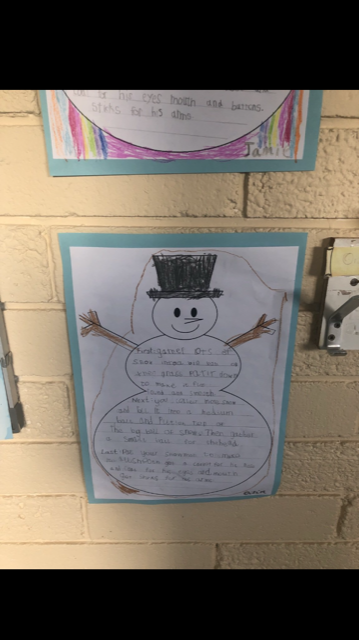 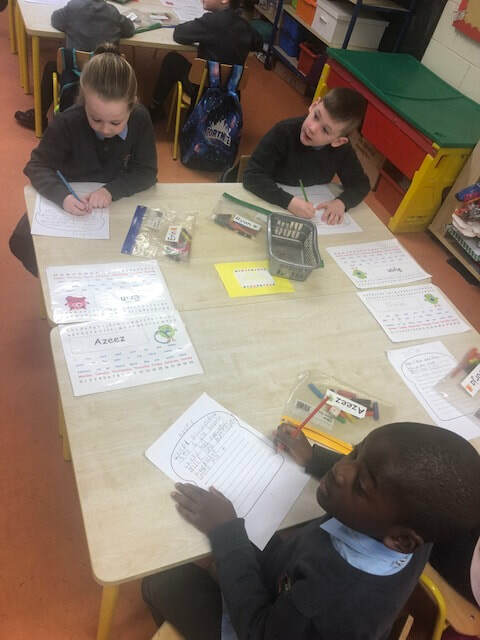 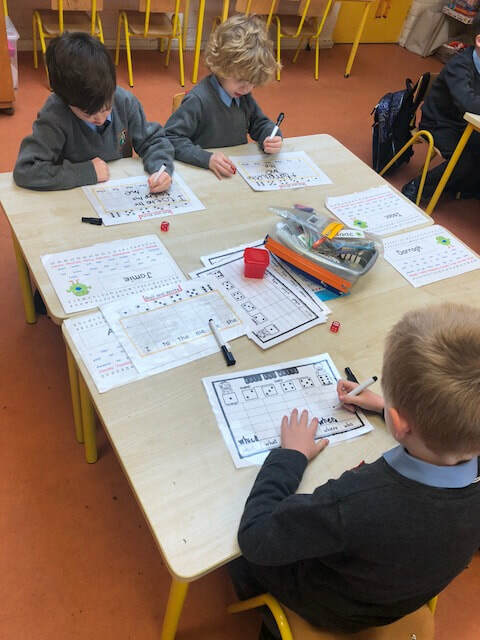 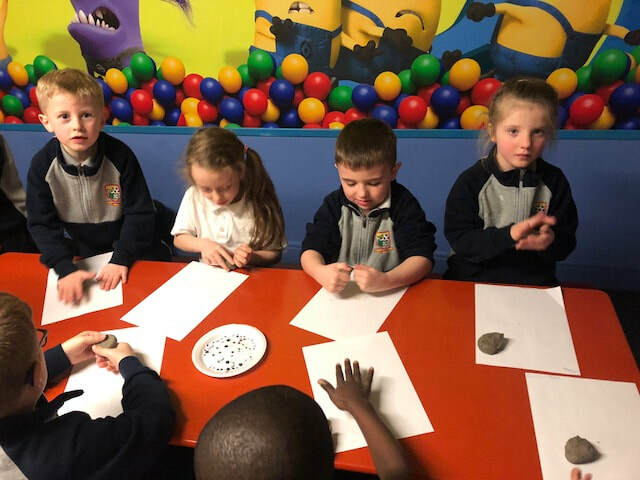 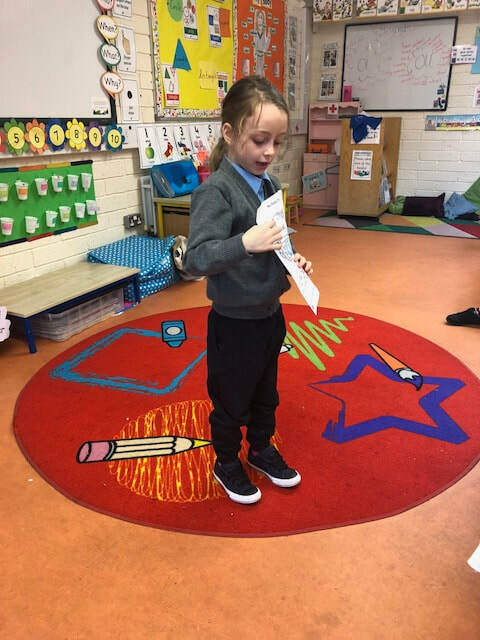 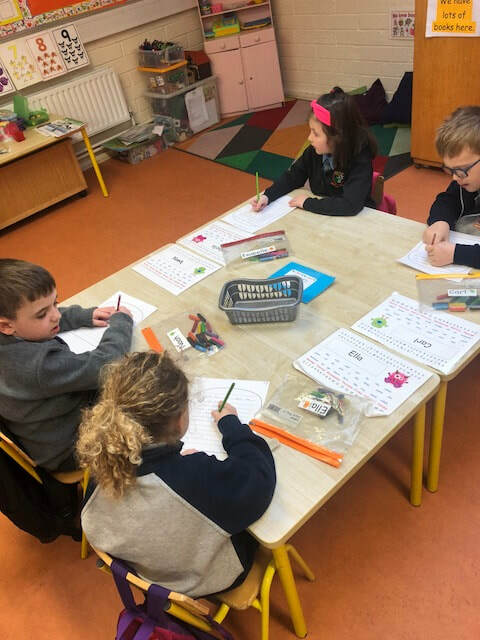 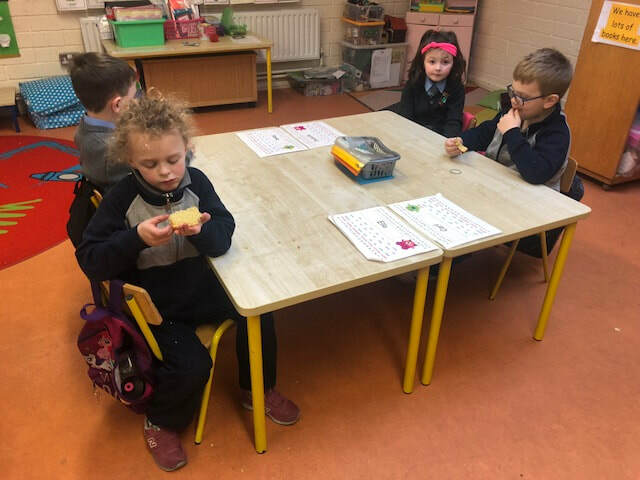 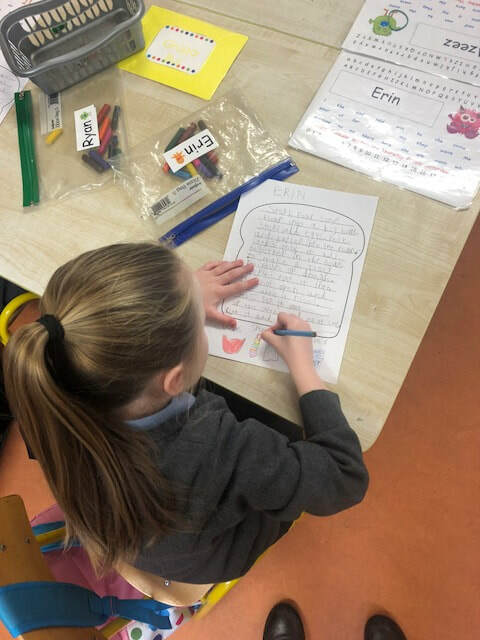 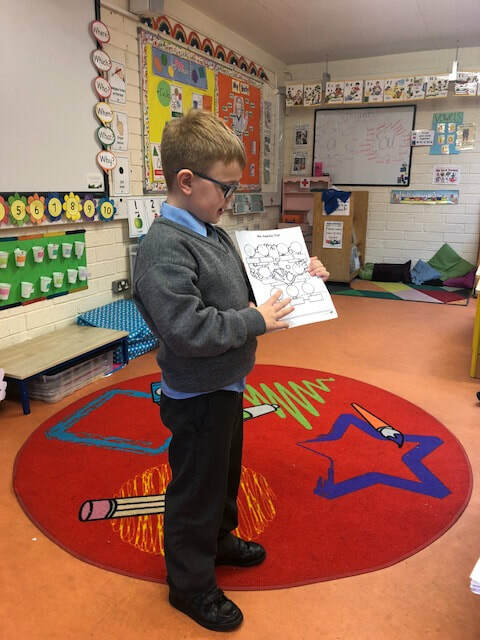 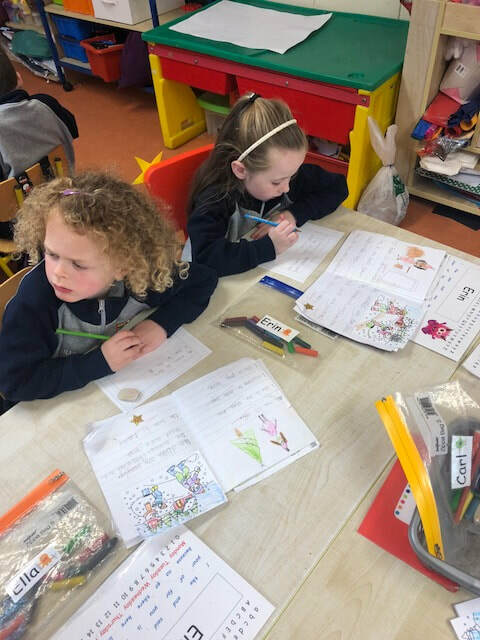 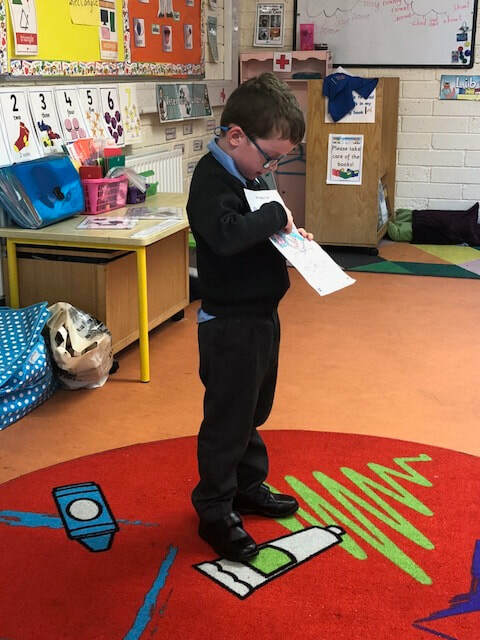 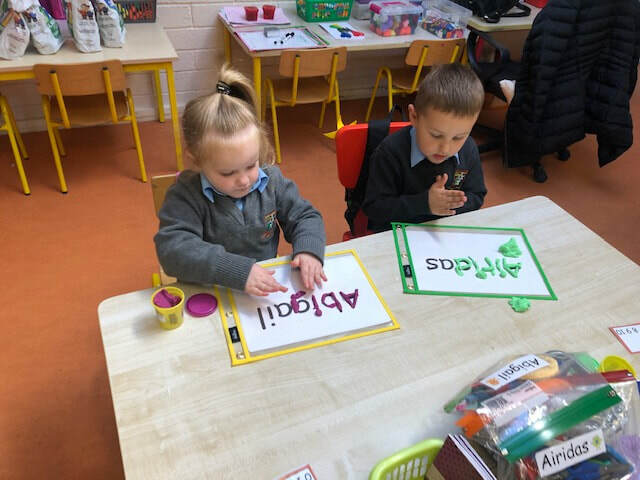 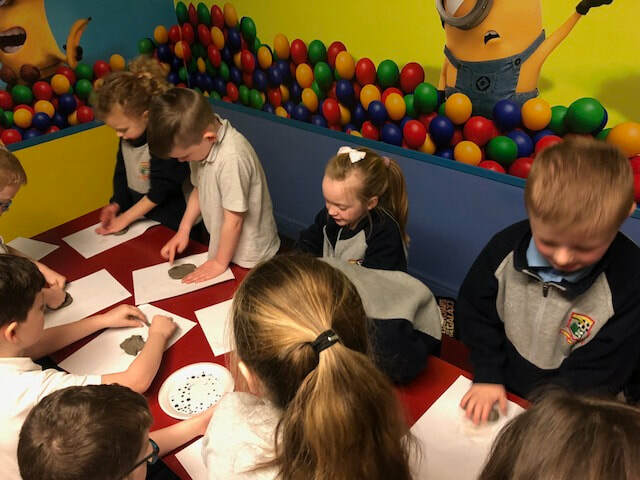 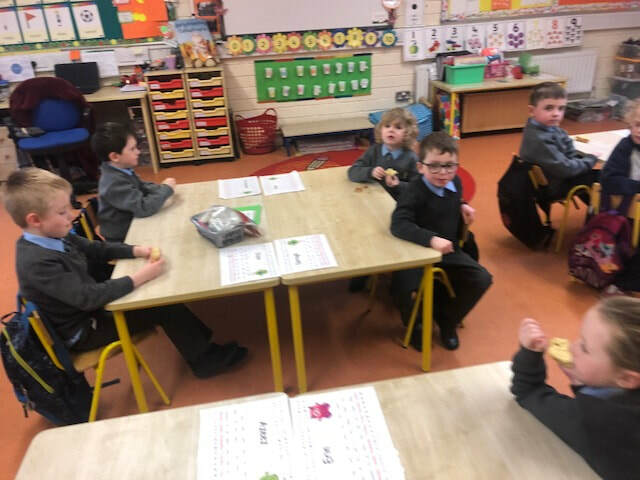 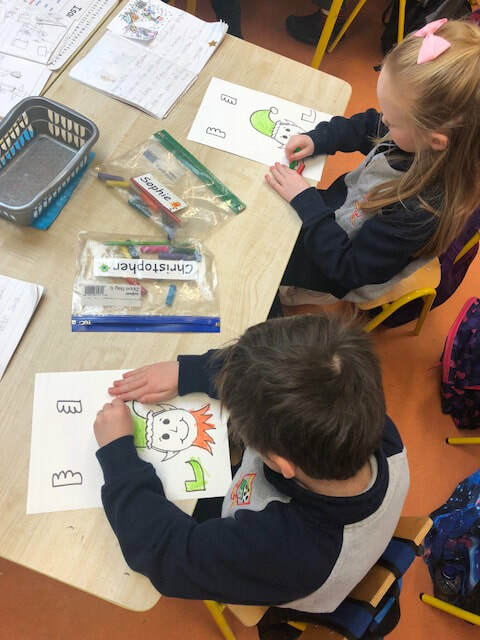 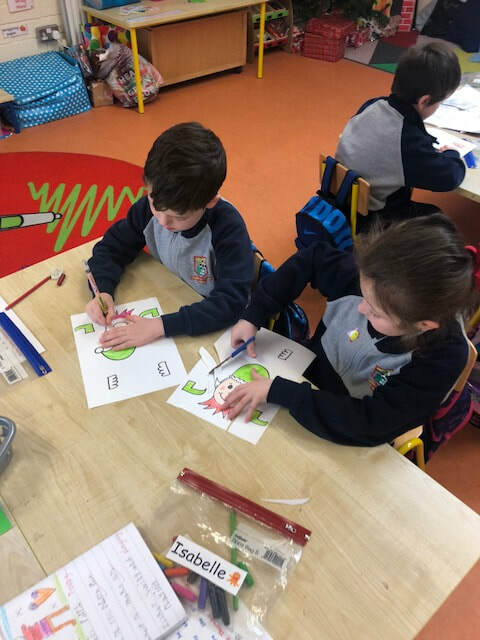 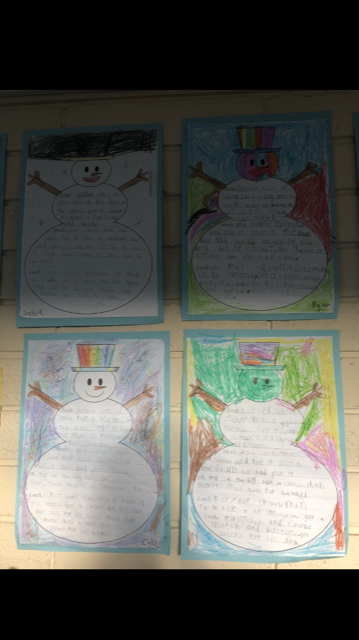 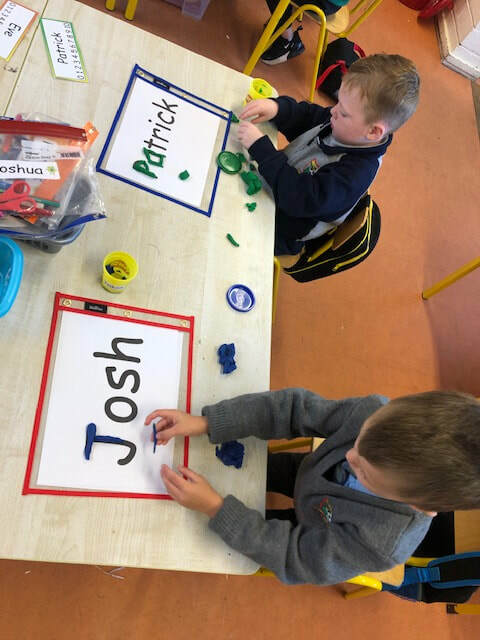 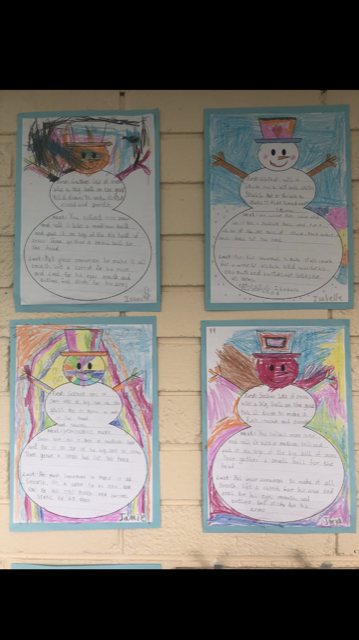 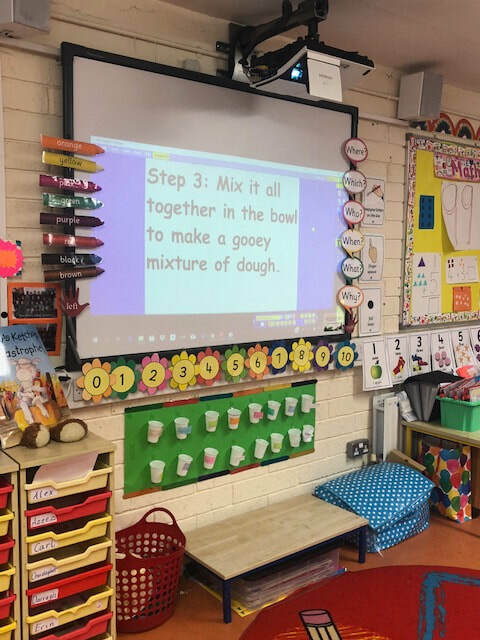 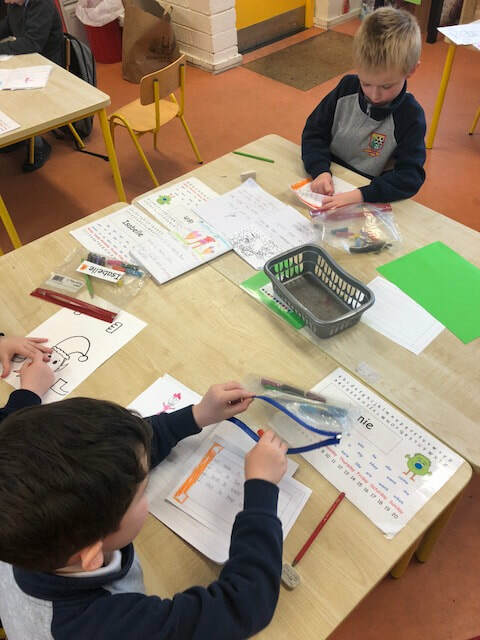 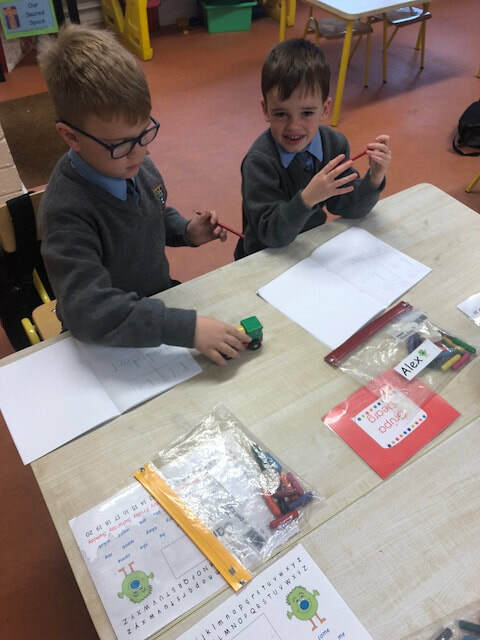 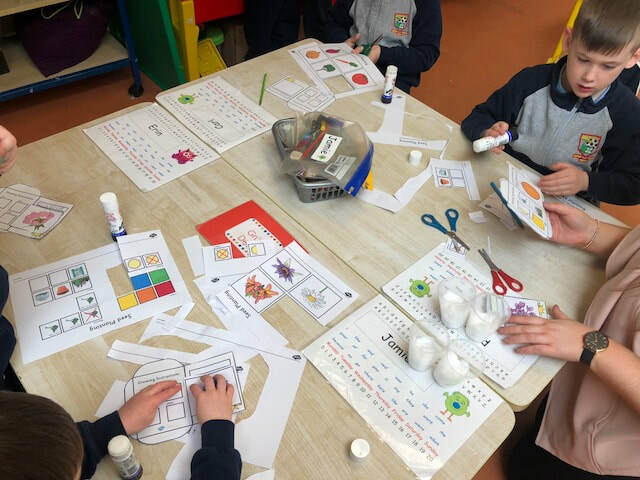 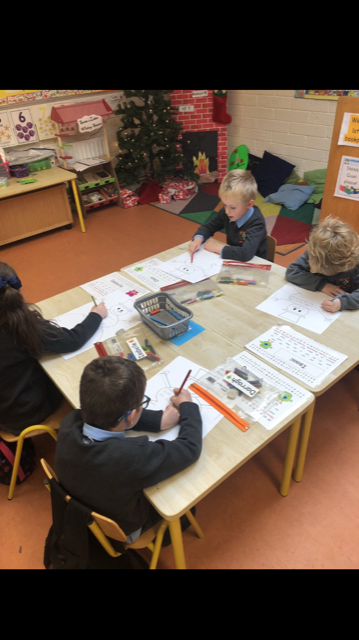 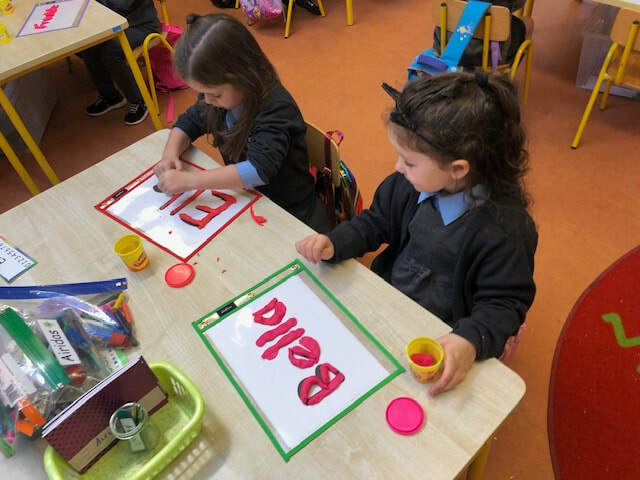 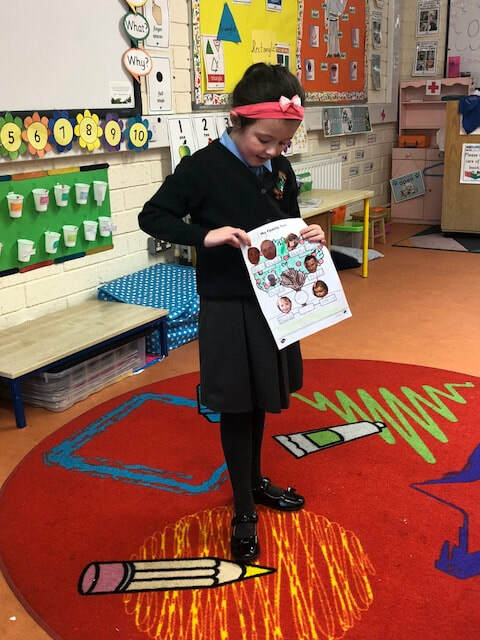 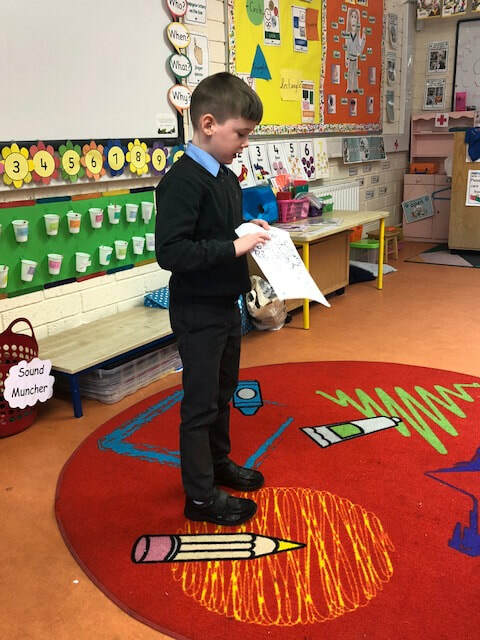 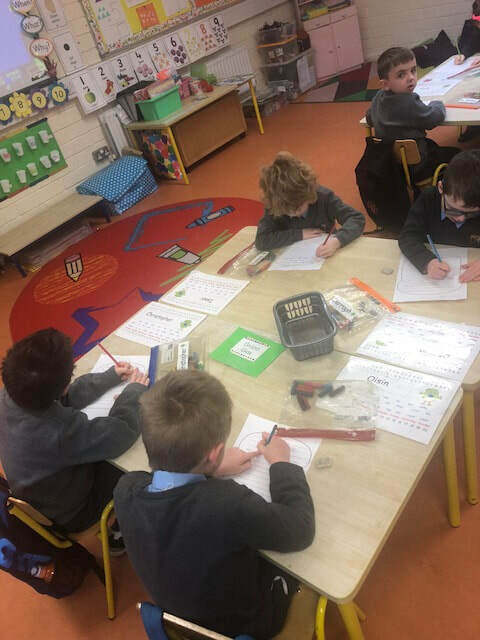 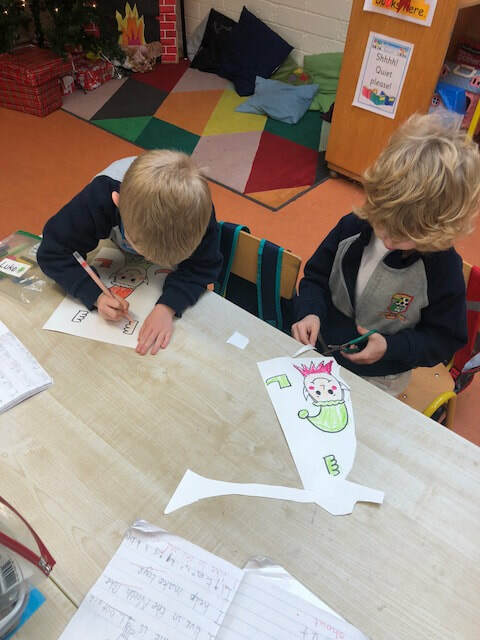 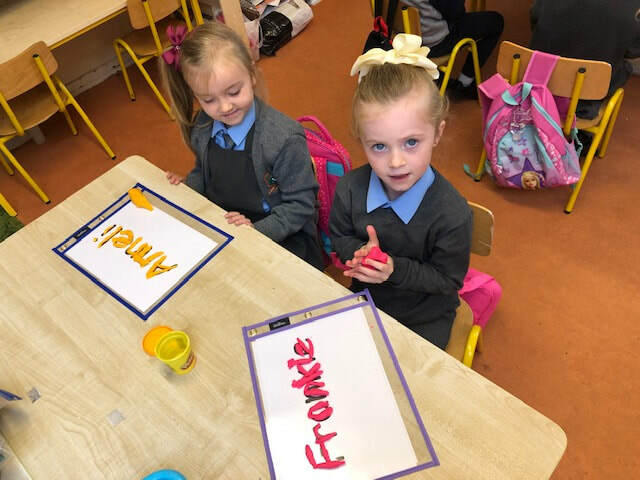 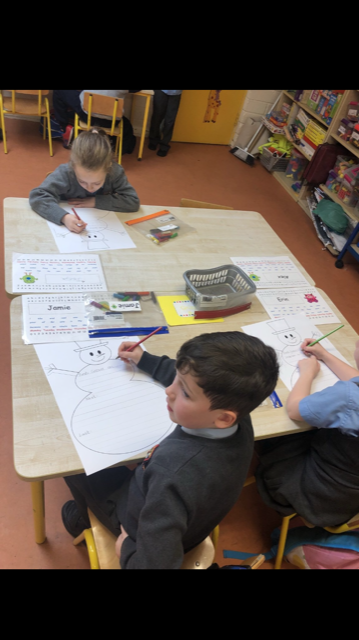 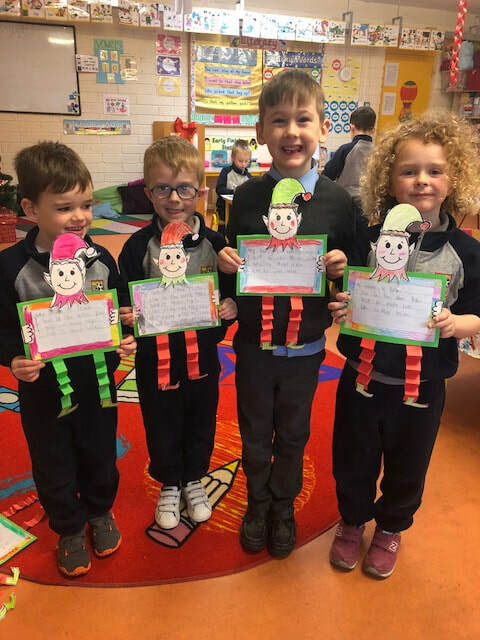 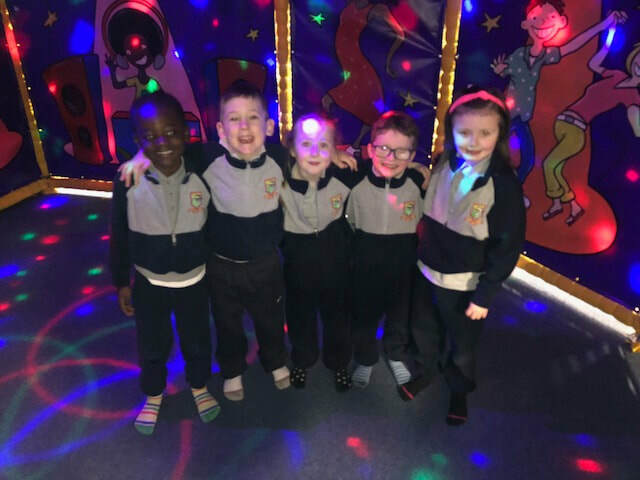 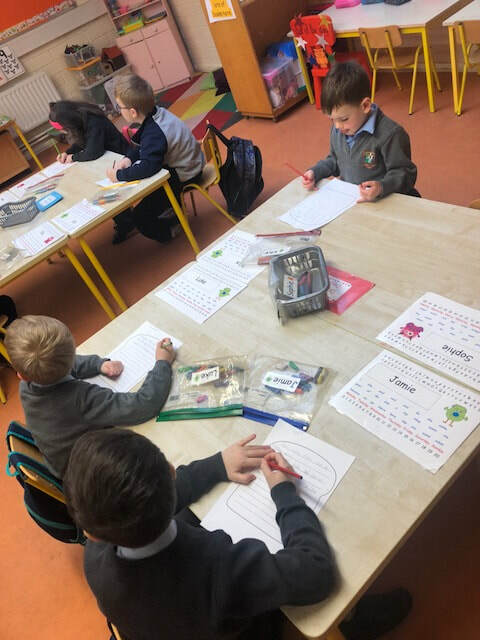 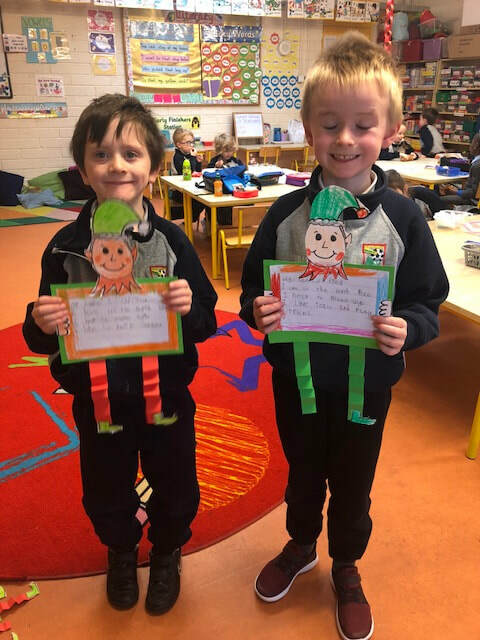 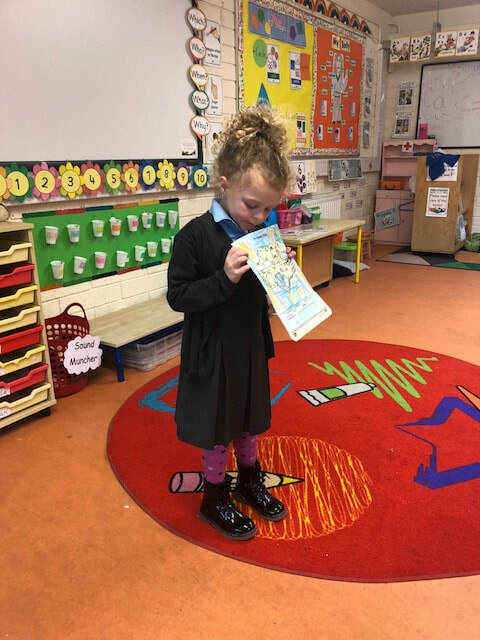 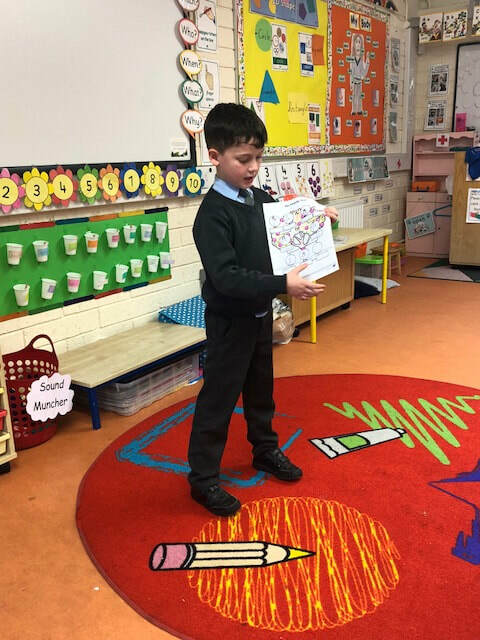 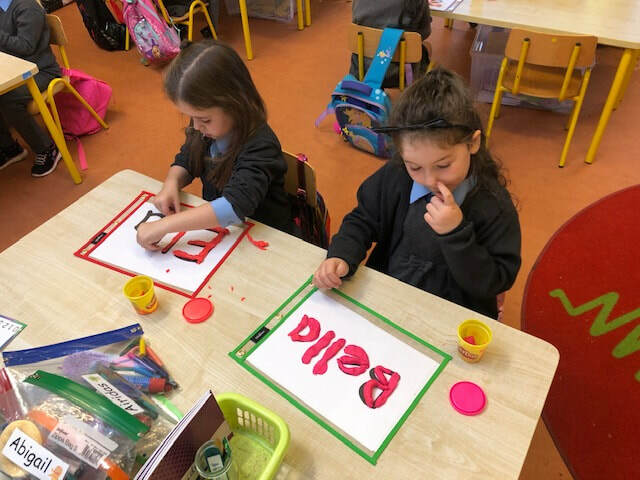 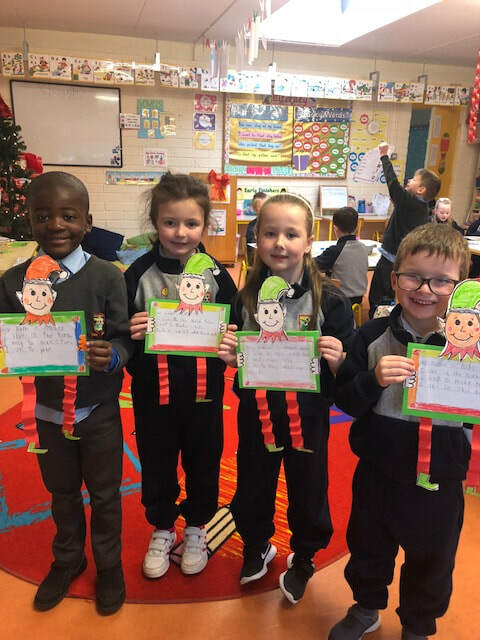 Each week the children in senior infants are given three new tricky words to try and learn. 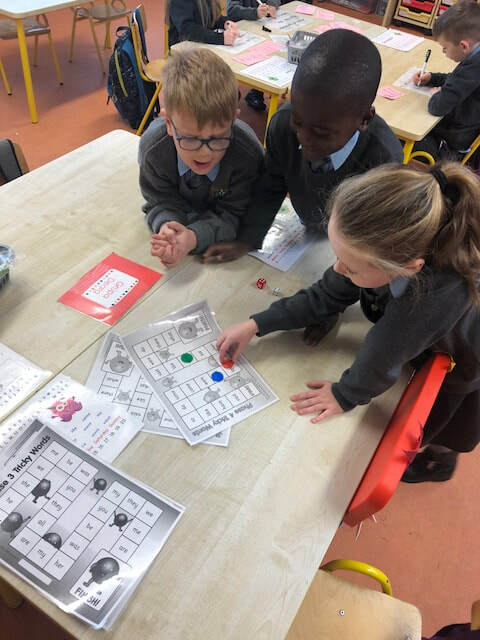 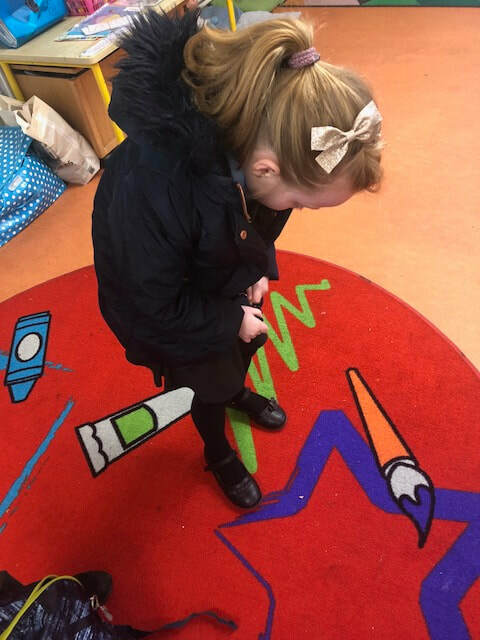 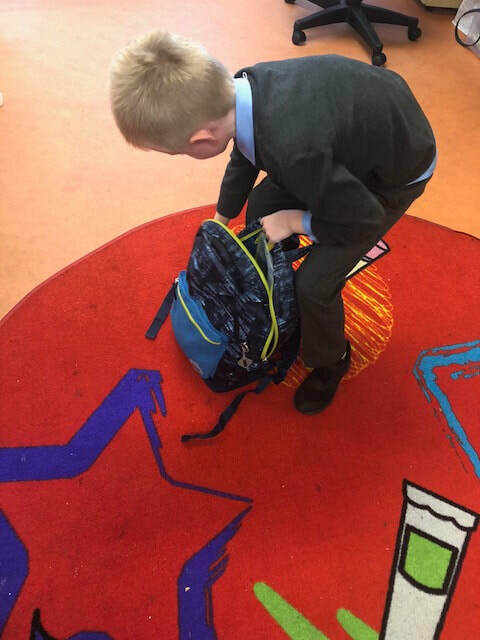 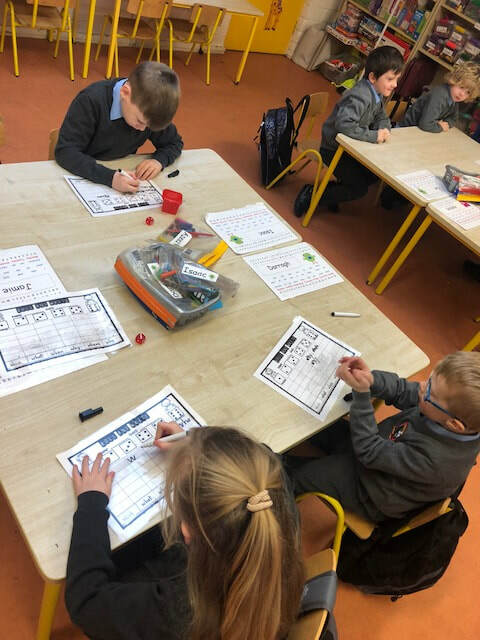 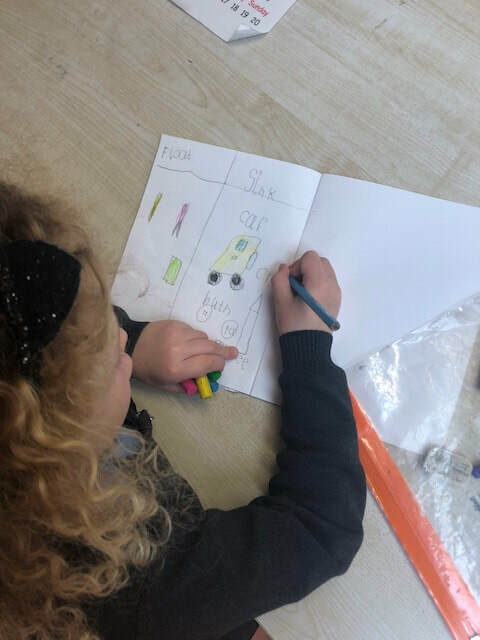 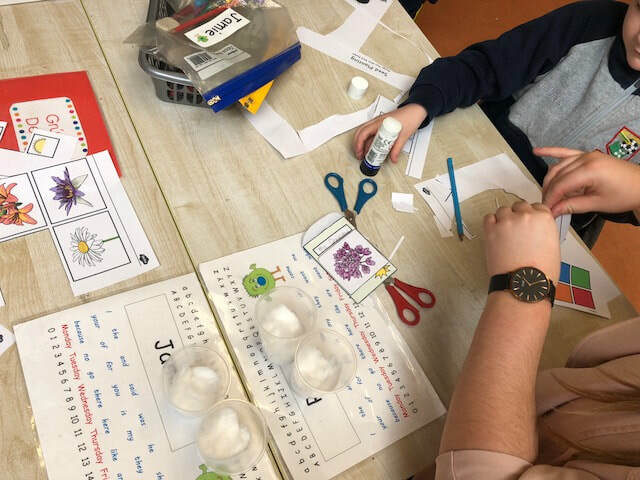 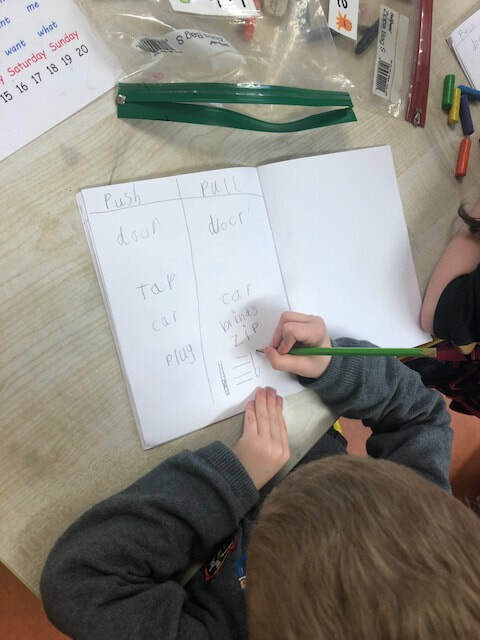 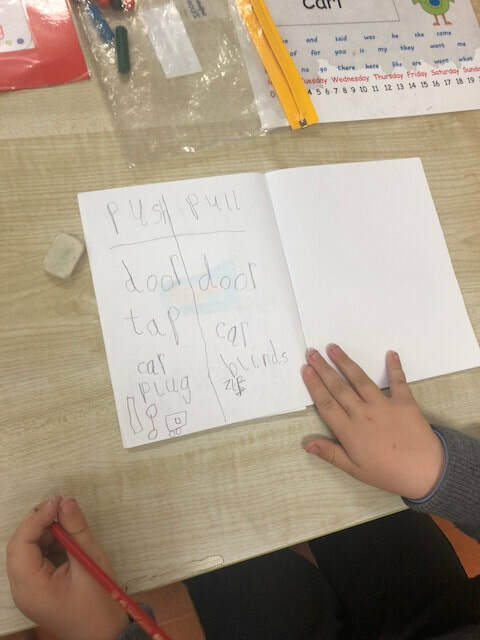 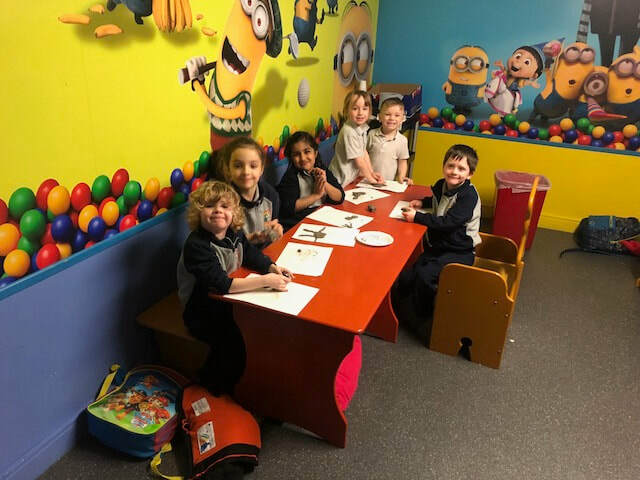 However, on the fourth week of each month we have a tricky words revision week where the children play revision games and complete activities at different tricky word stations. 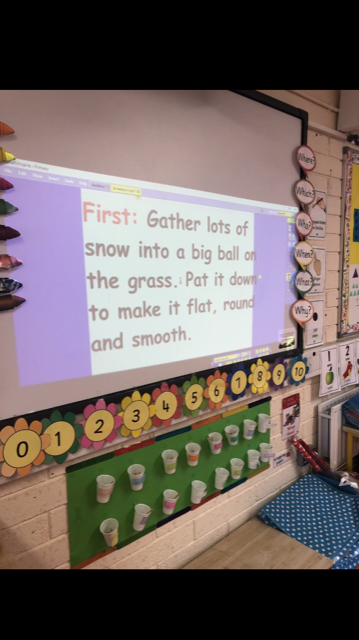 It's a great way for the children to revise their tricky words and try really hard to remember that one tricky word they're getting stuck on! 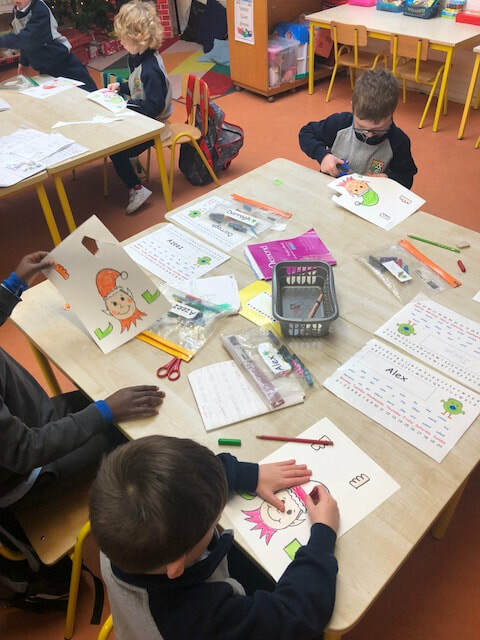 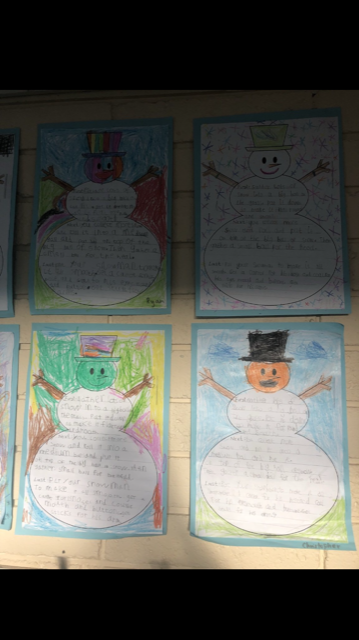 Have a look at some of our activities! 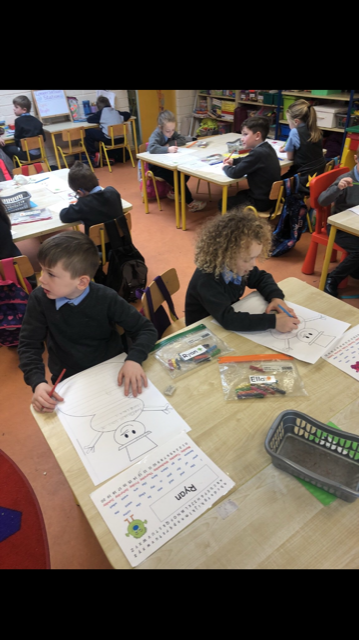 For the last 2 weeks in history we have been discussing our families and the different members of our immediate and extended family. 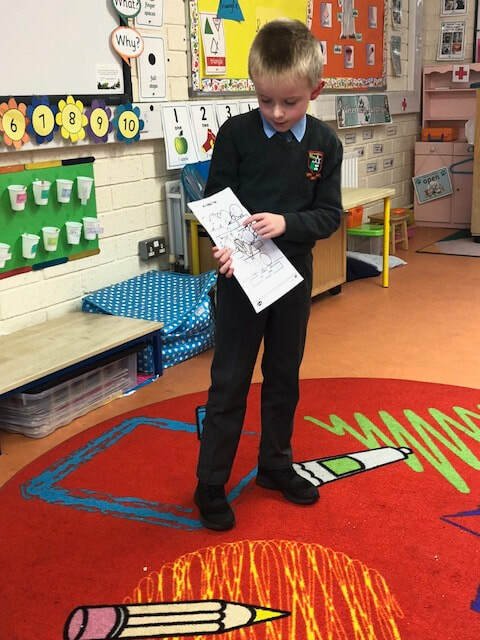 The children have talked about where we come from and how we are all a part of a small or big family. 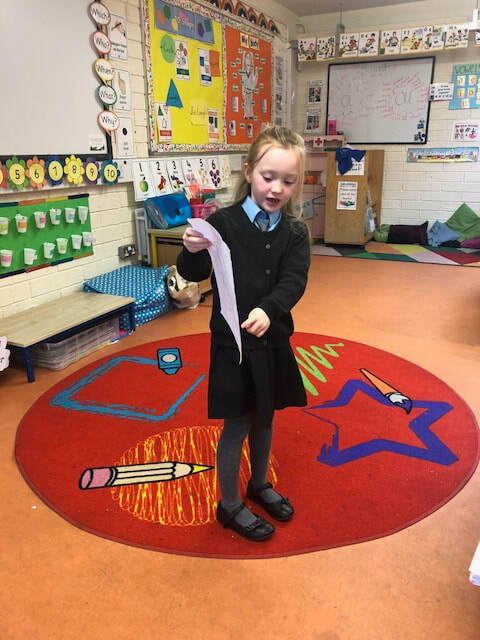 The children have discussed their favourite memory with their families and some funny moments. 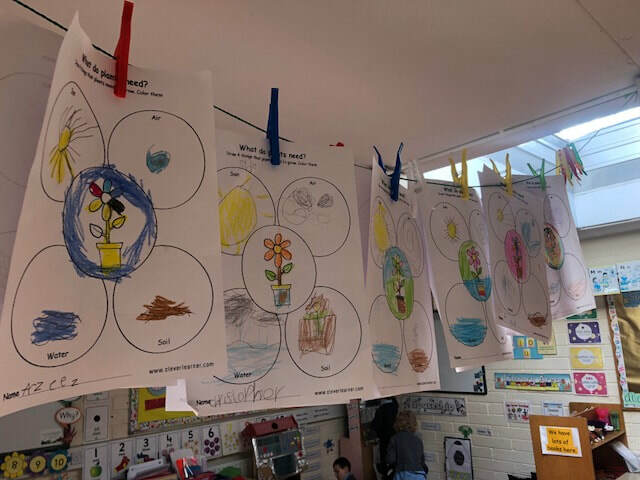 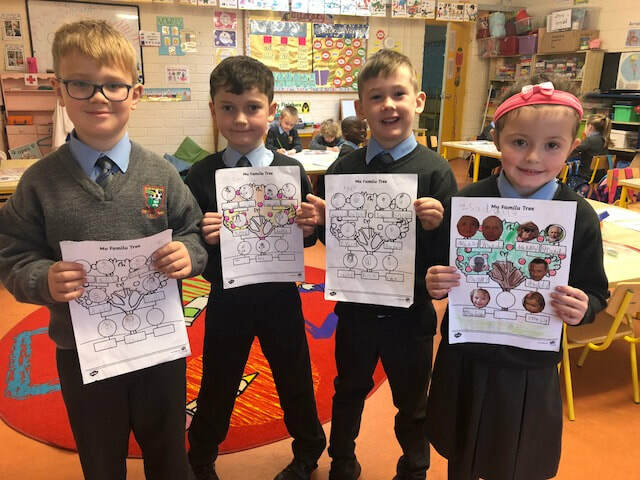 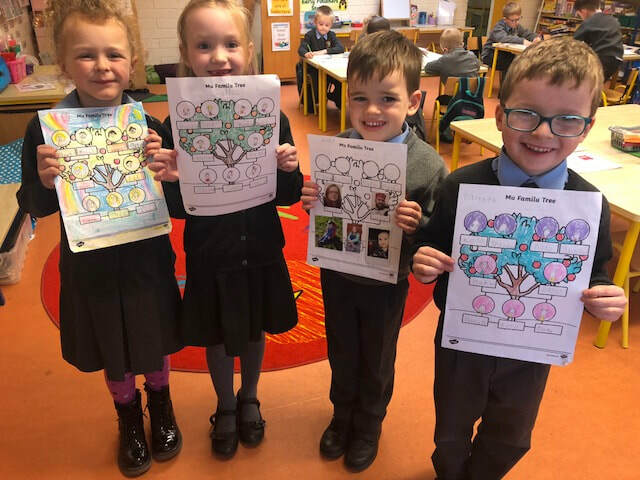 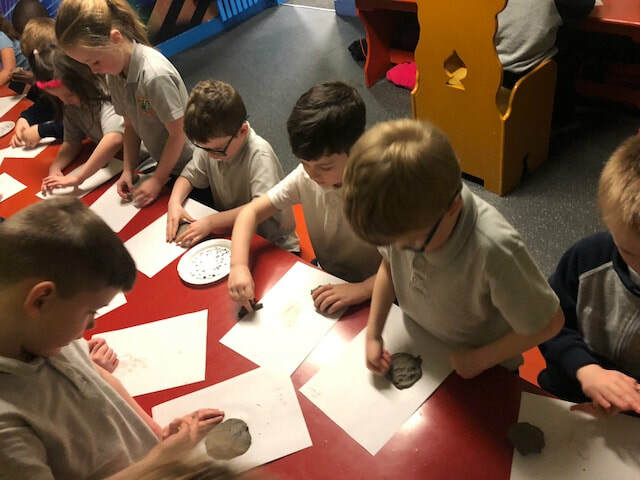 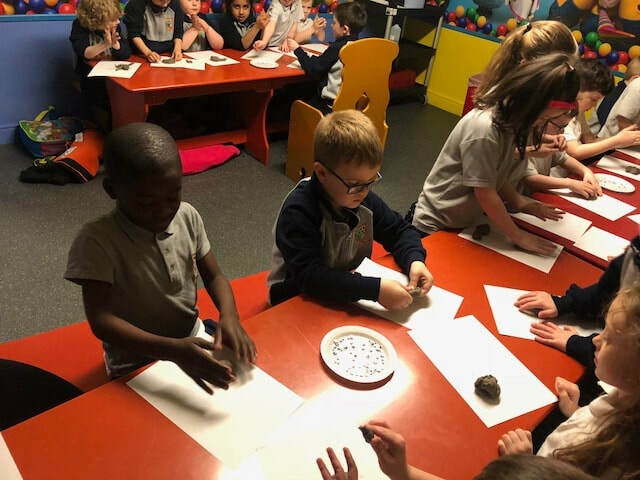 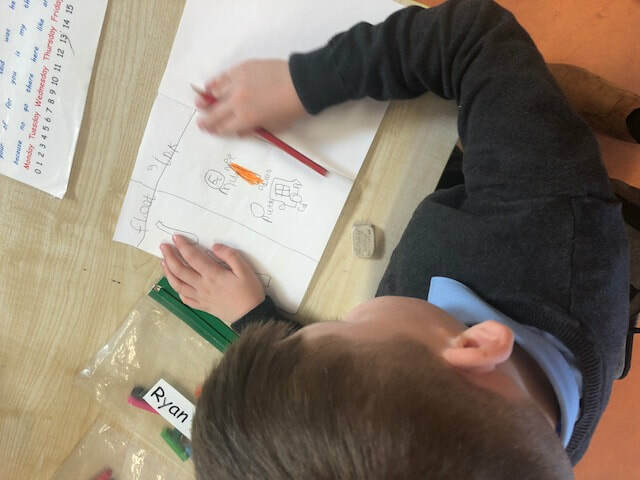 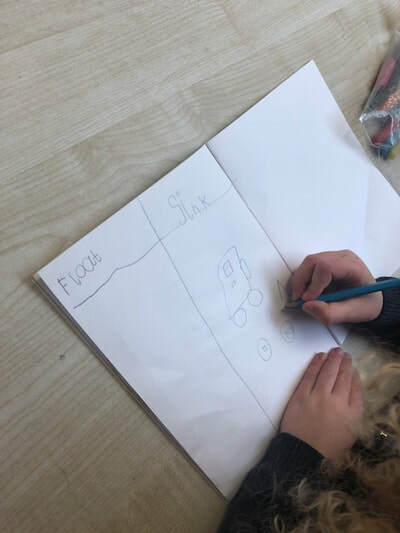 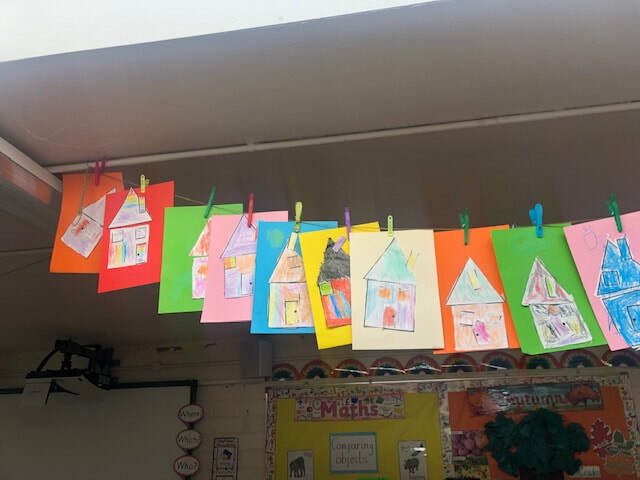 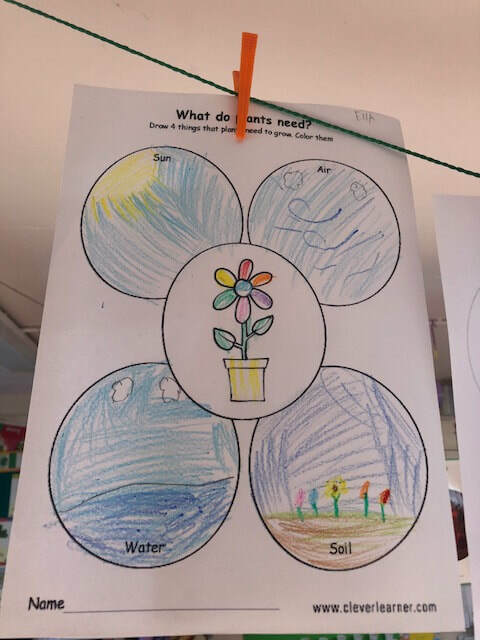 With the help of fantastic parents at home the children completed a 'My Family Tree' activity', where they filled in the different members of their family. 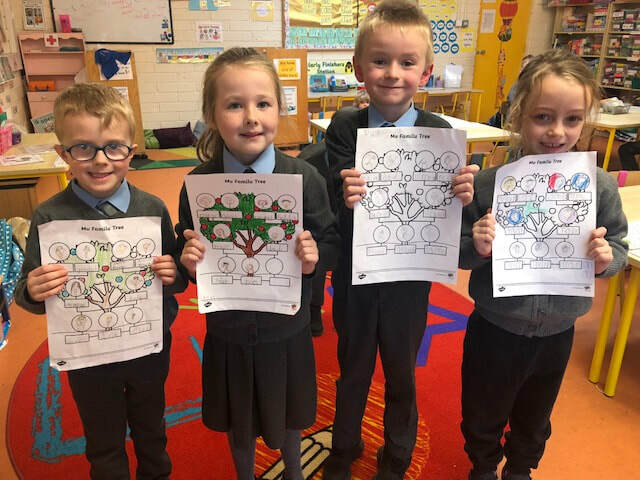 They presented their family tree to the class and spoke excellently. 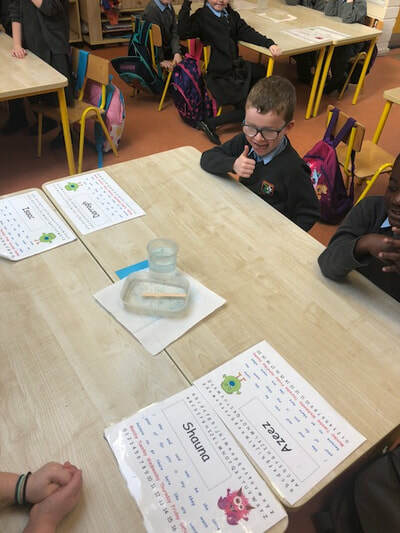 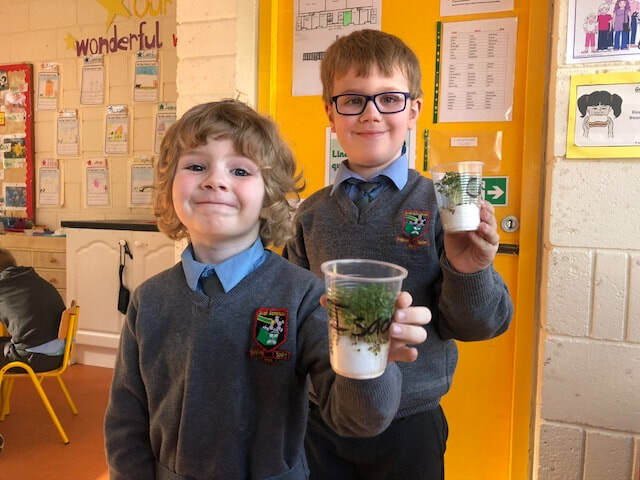 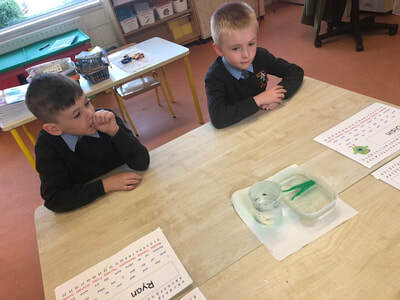 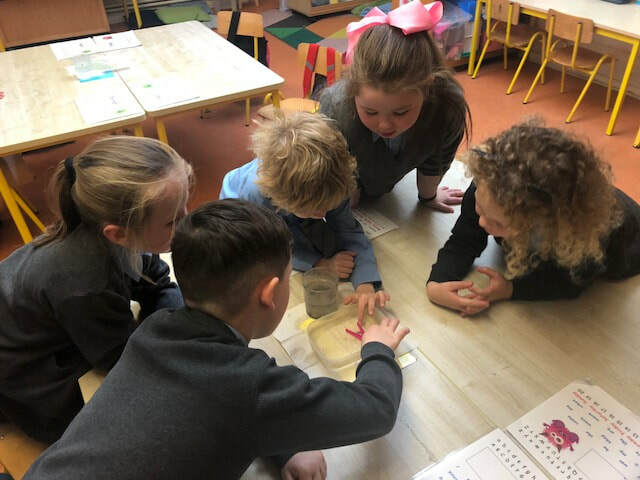 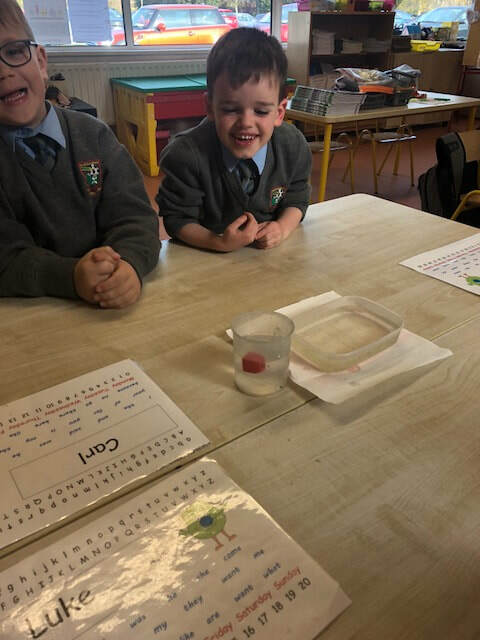 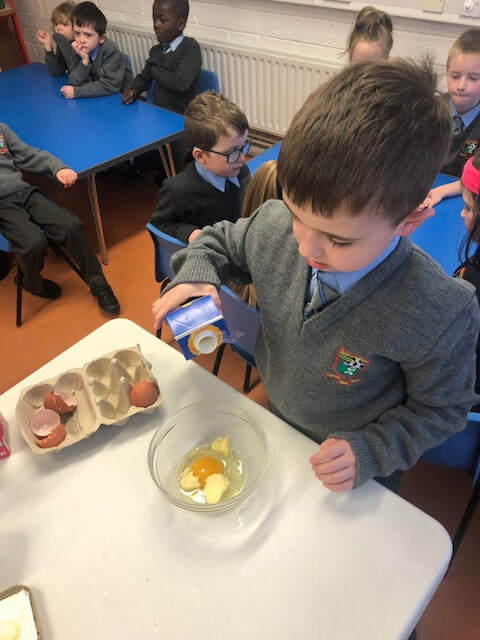 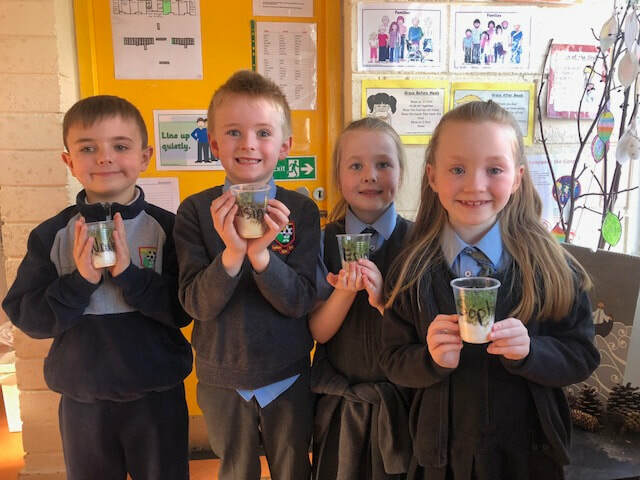 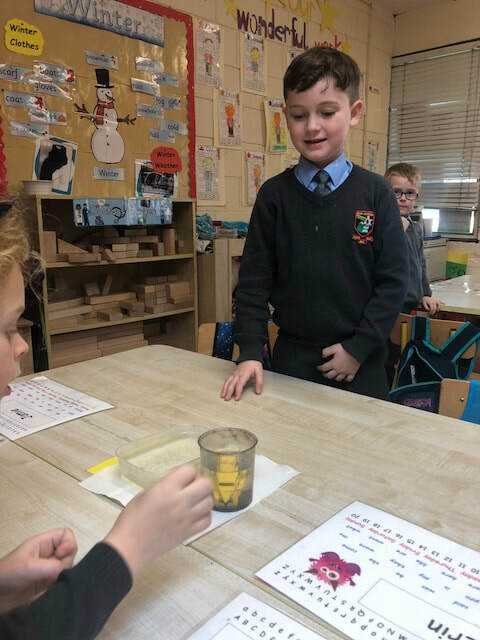 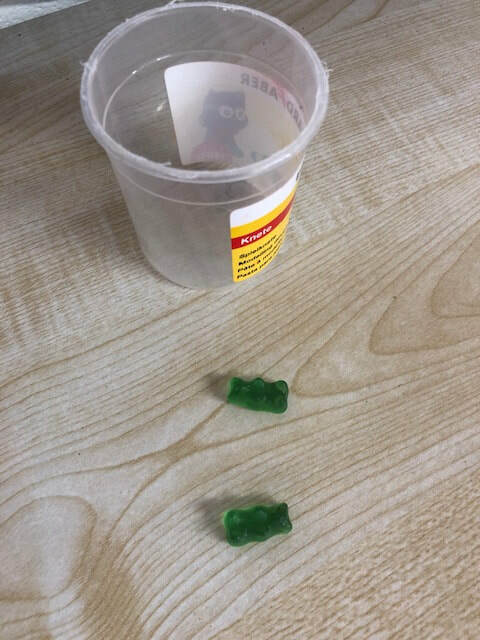 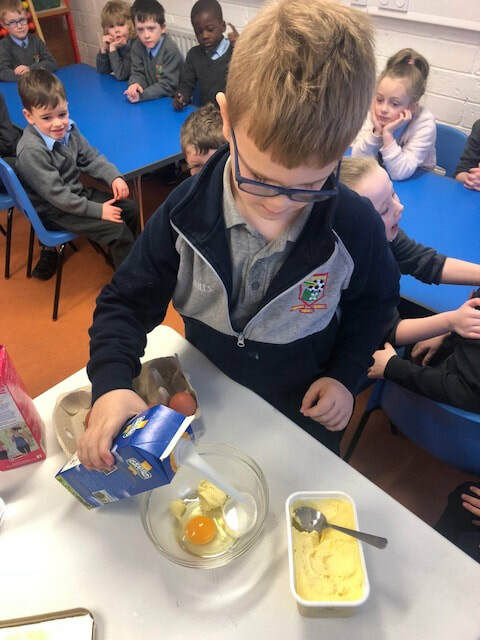 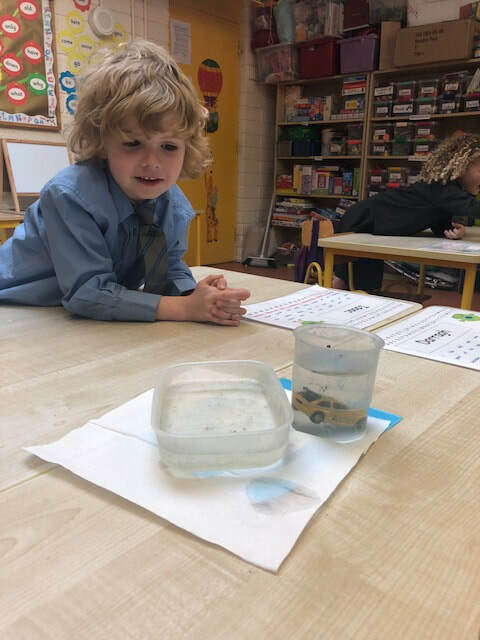 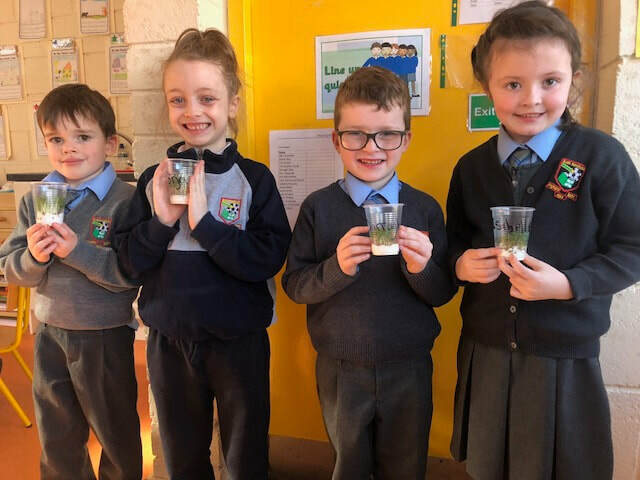 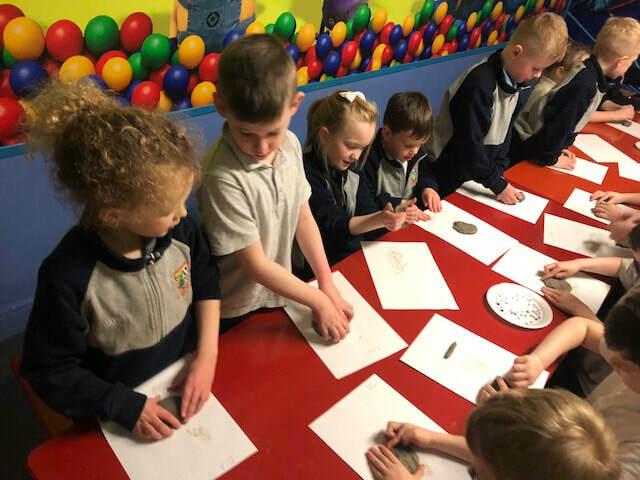 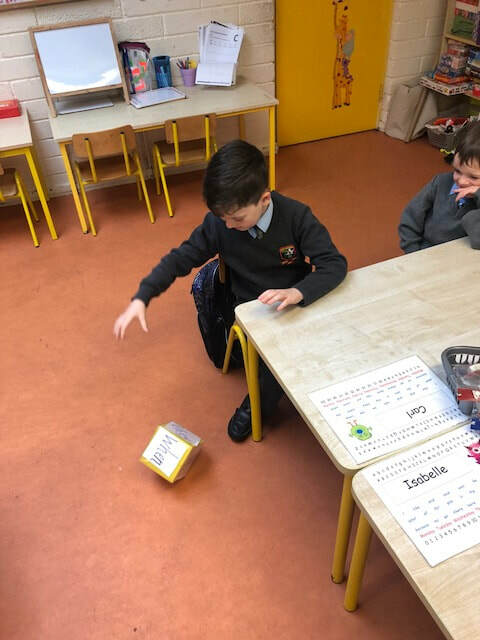 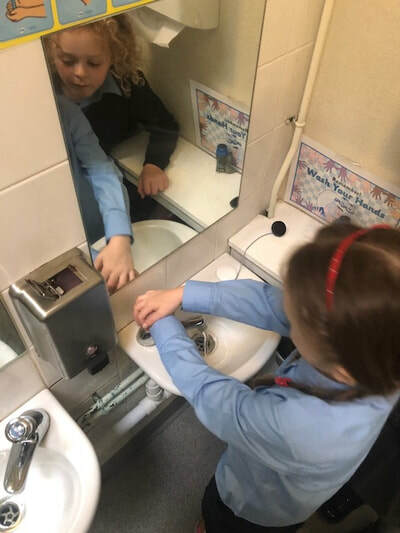 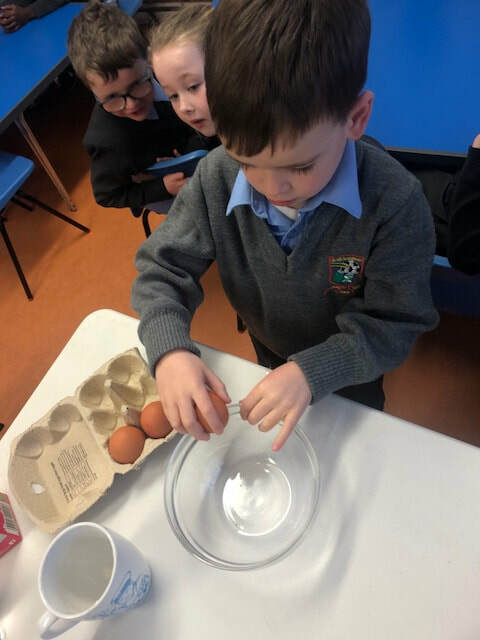 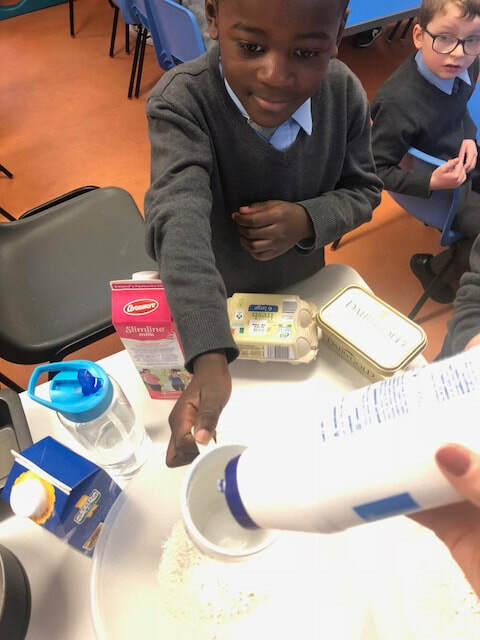 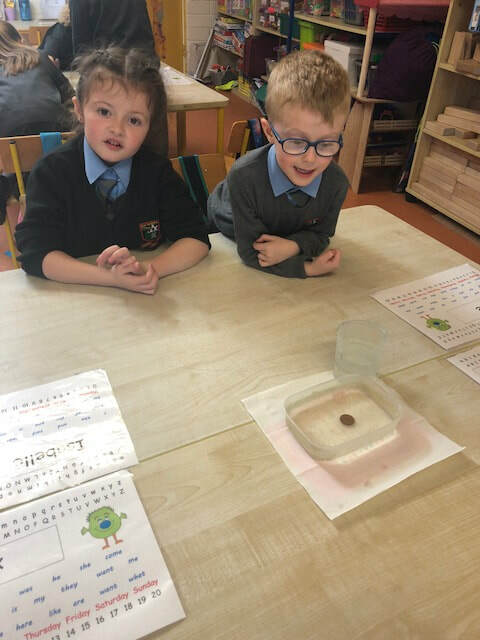 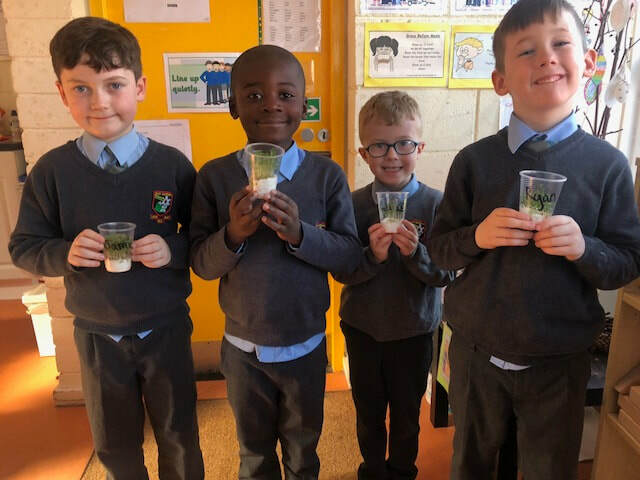 For science week in senior infants we decided to try some different experiments. We learned about forces such as pushing and pulling, and also the different materials that can sink and float in water. 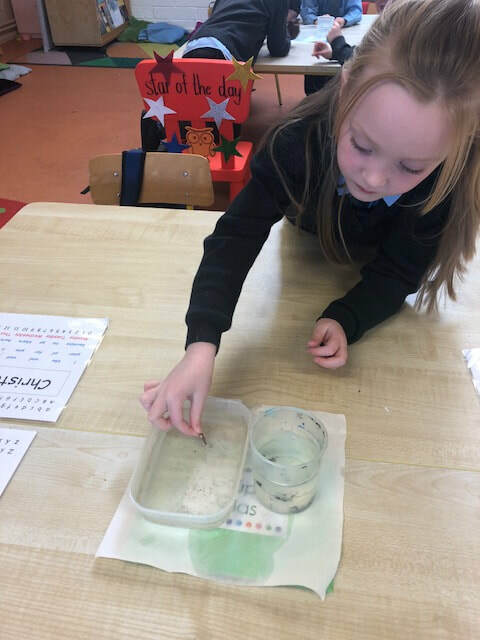 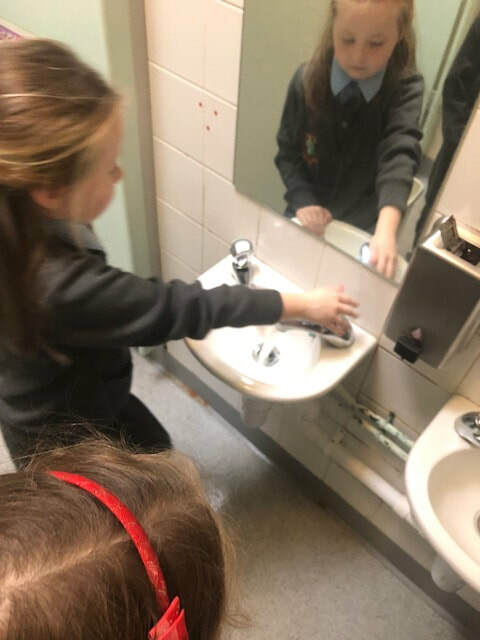 We also looked at how fairy liquid helps us clean our dishes by reacting to dirt and food products. 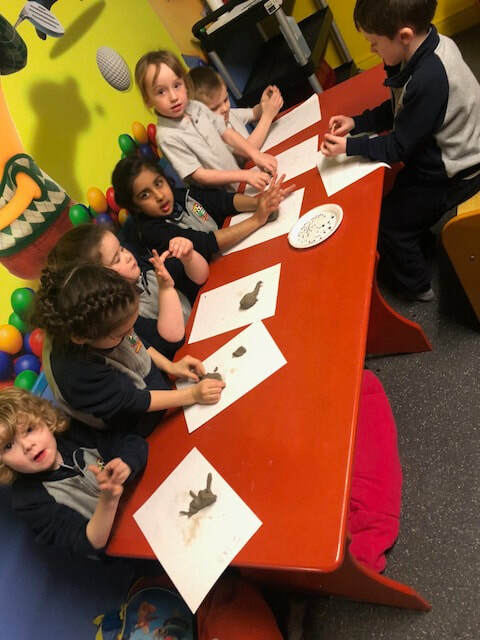 The children really enjoyed the different experiments and got hands on with all the different activities.